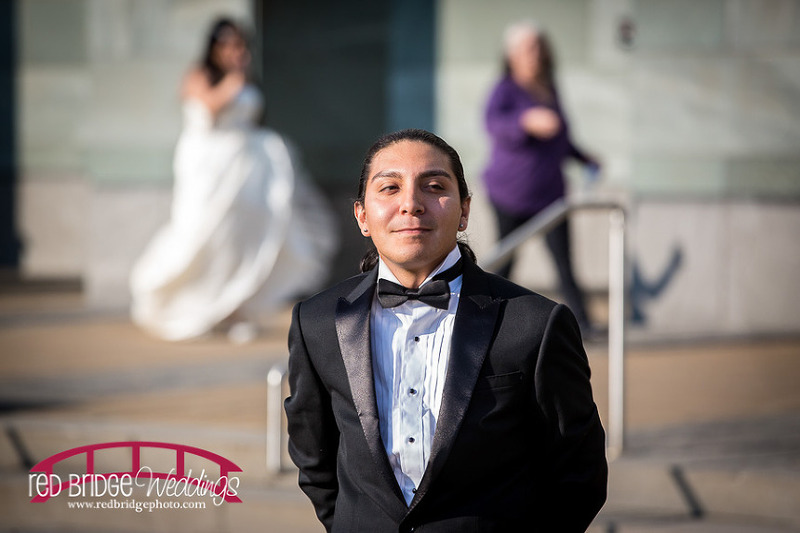 There are very few things that I will consider photographing on my birthday – pulling me away from the one day of the year that I consider it a day all about me (I mean, I only have one birthday a year anyway so why not have a day all about me;)). 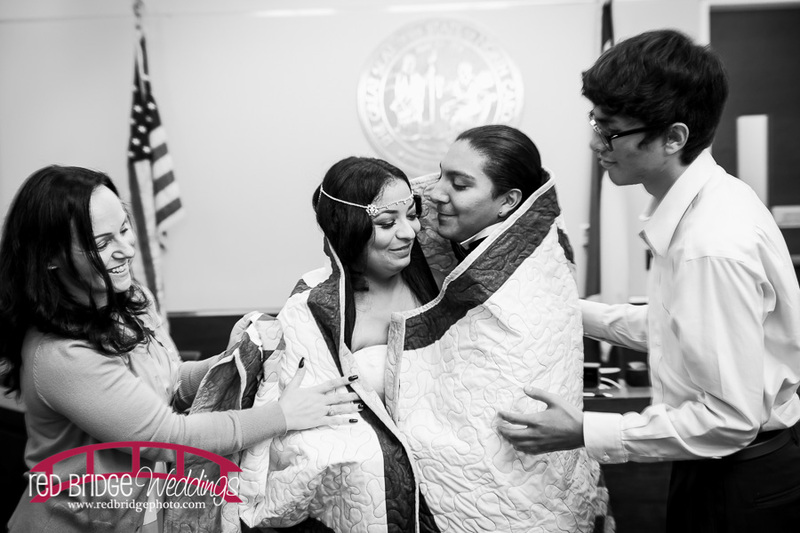 Weddings are one thing, newborns are another – and a courthouse wedding is definitely high up that list. 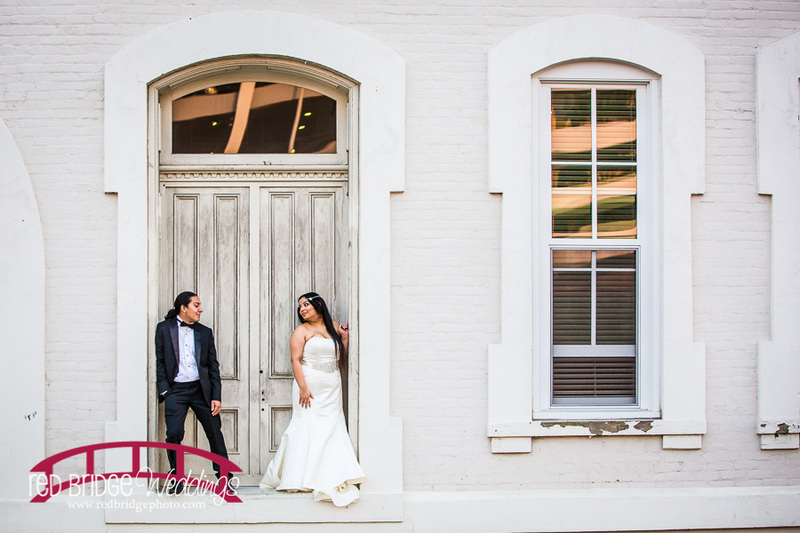 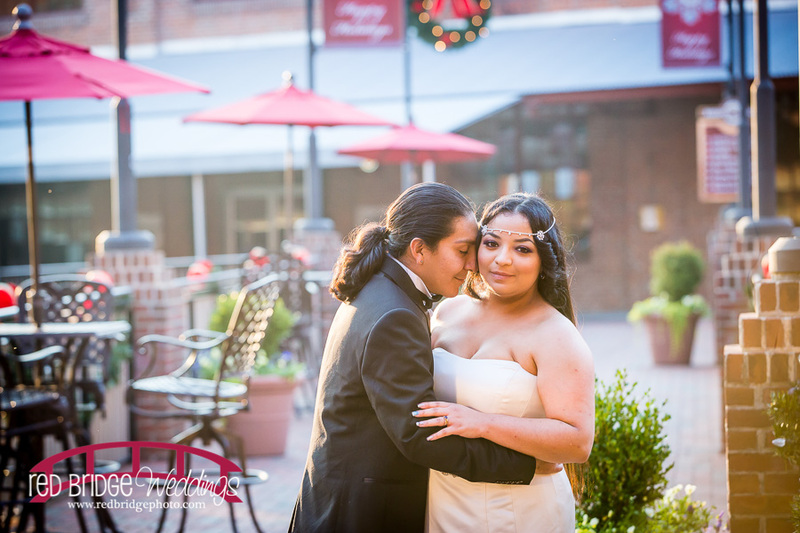 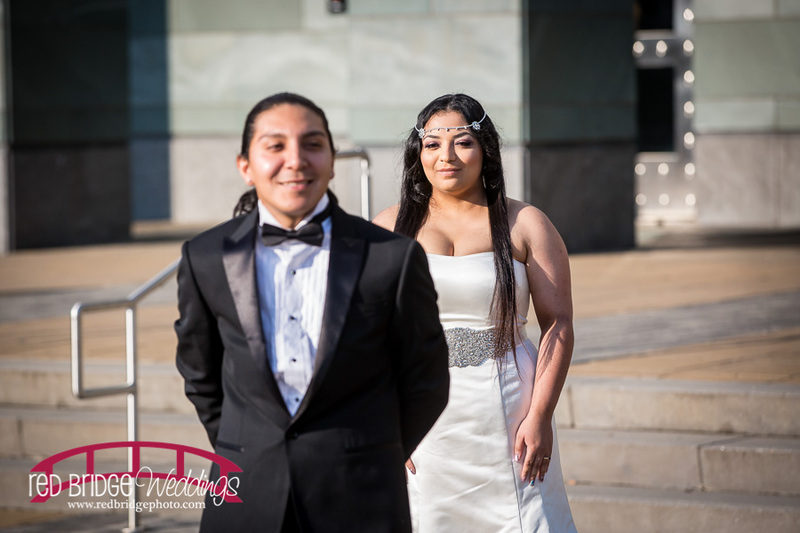 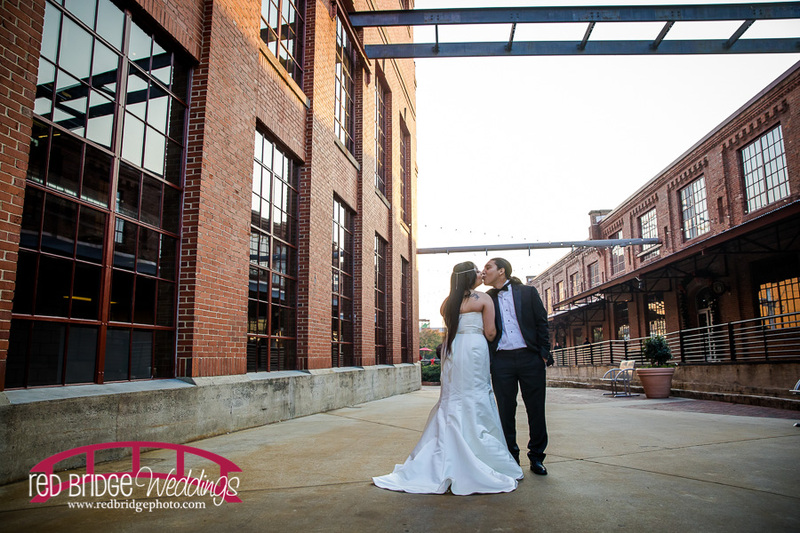 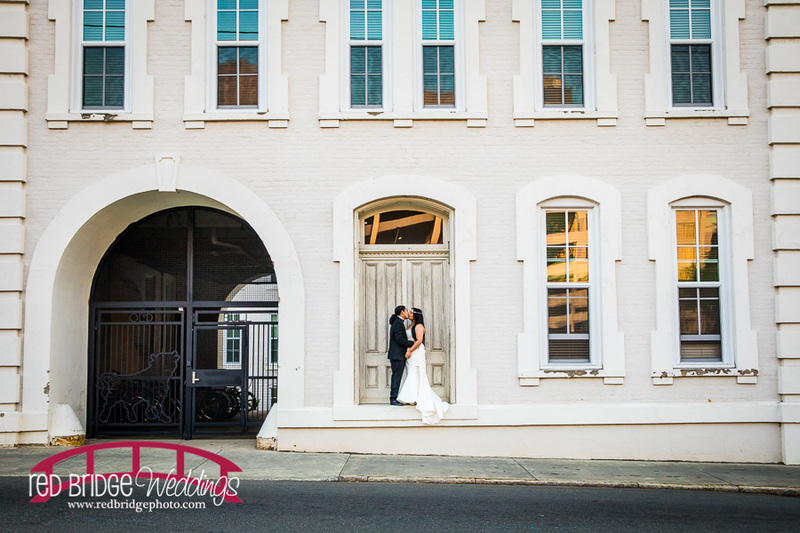 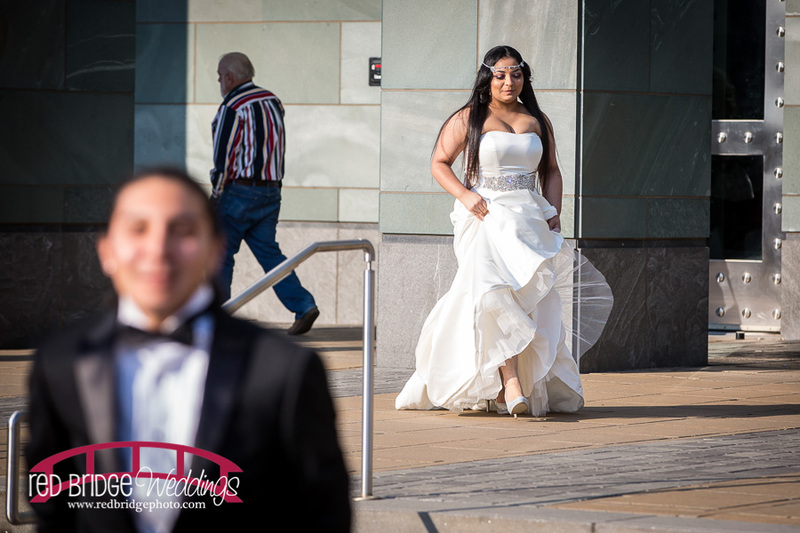 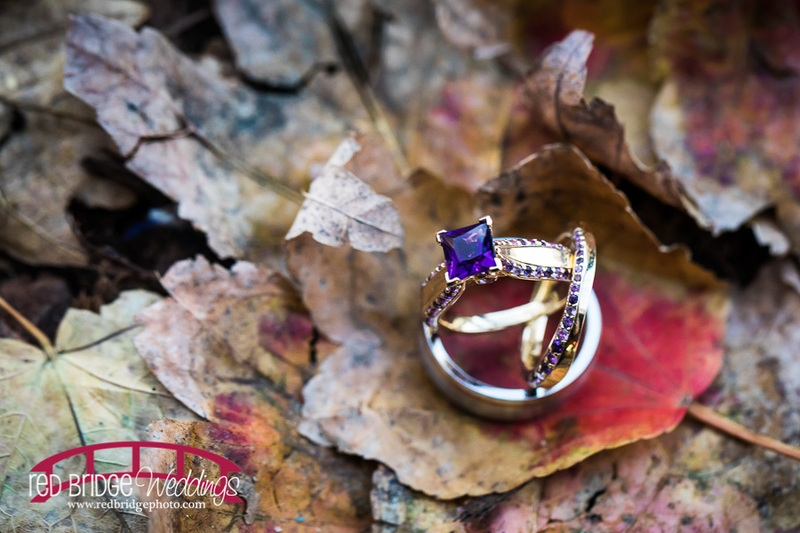 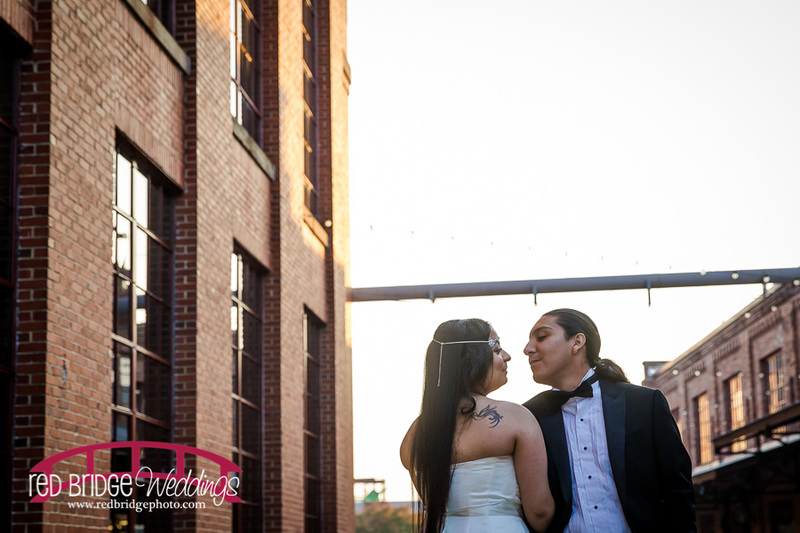 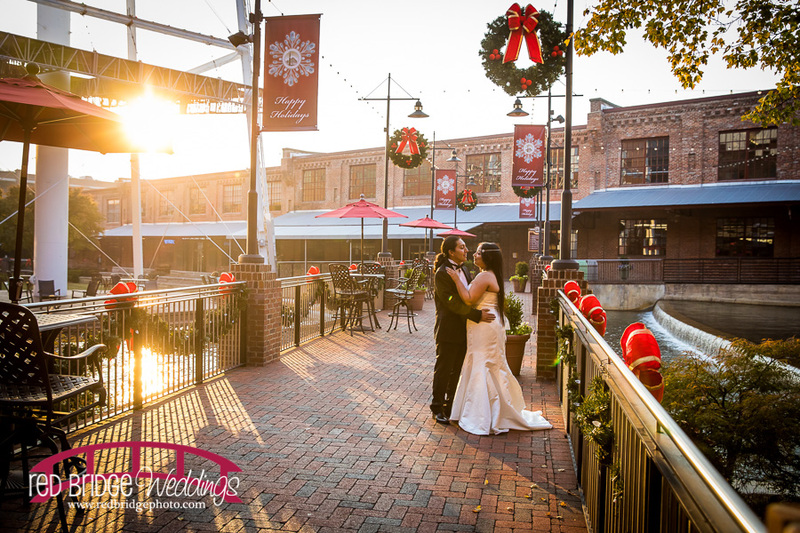 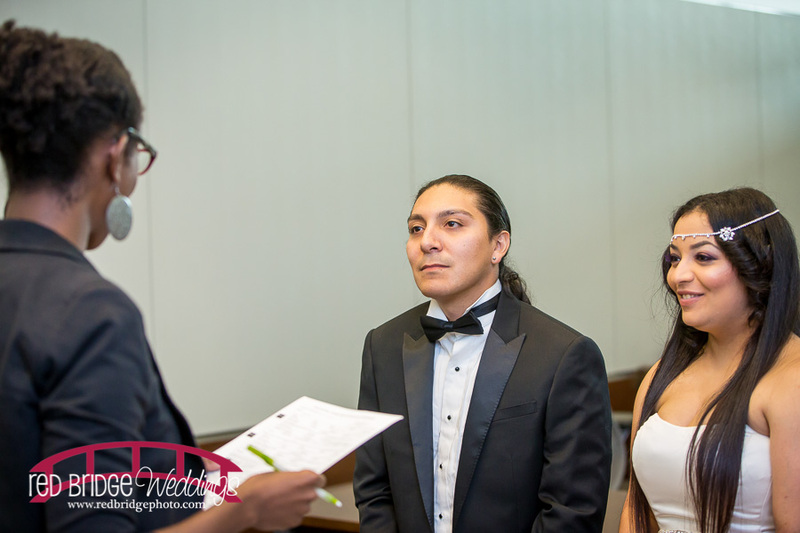 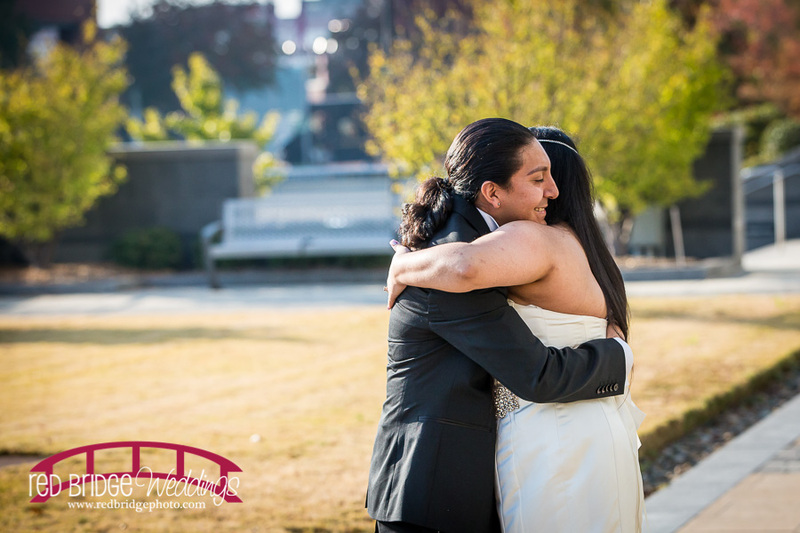 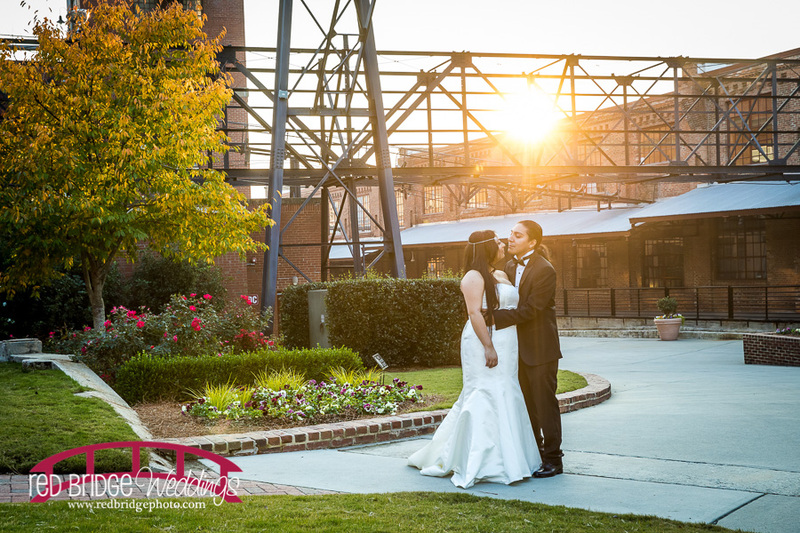 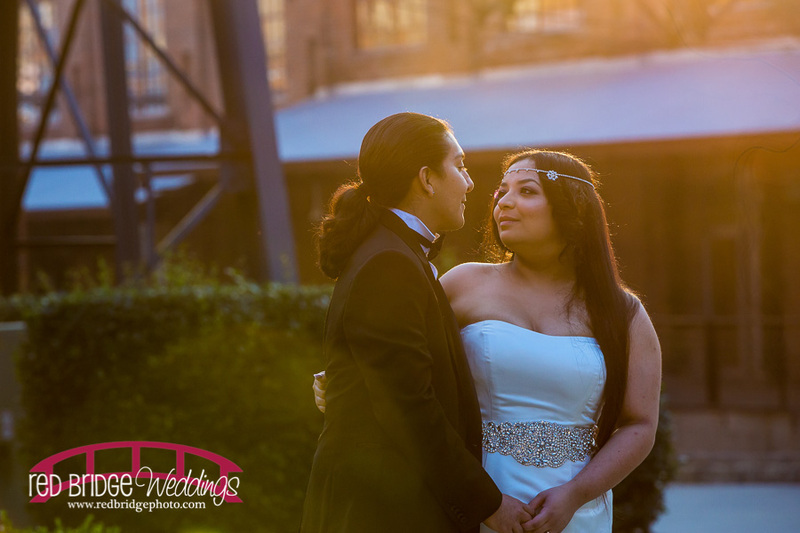 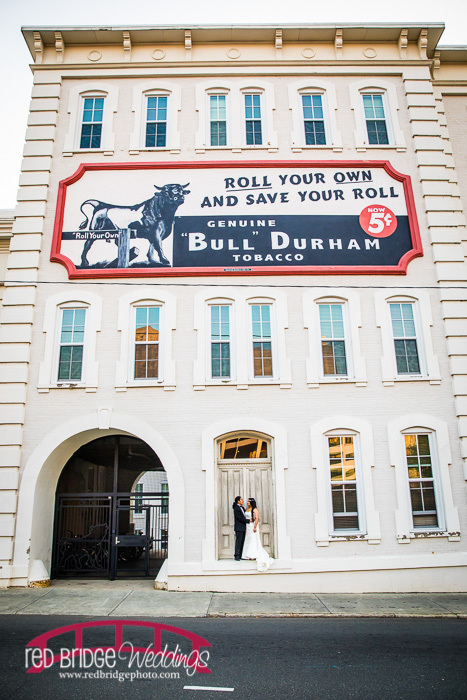 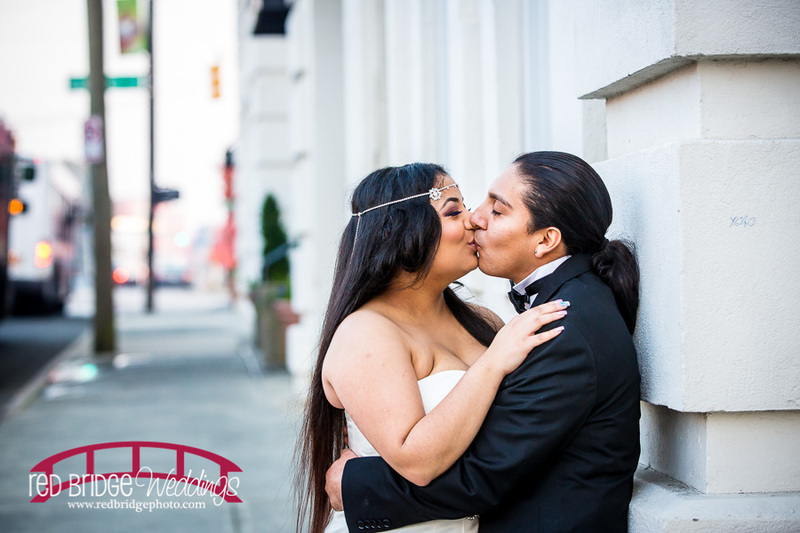 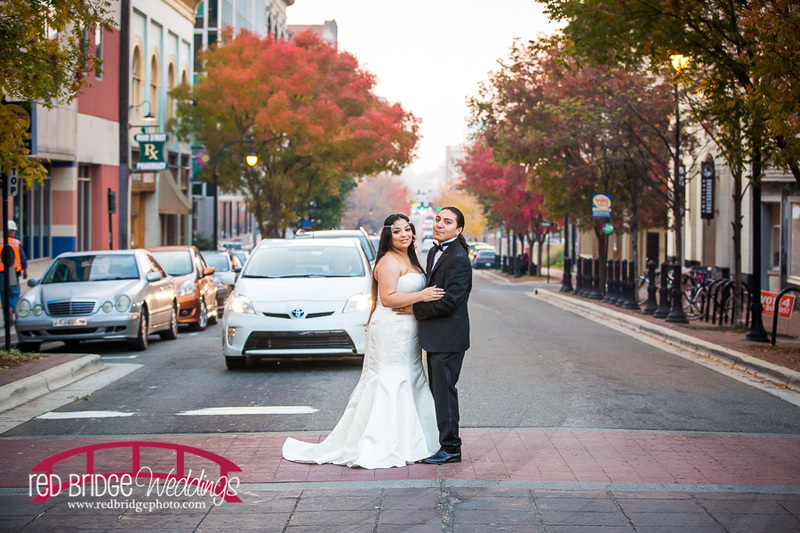 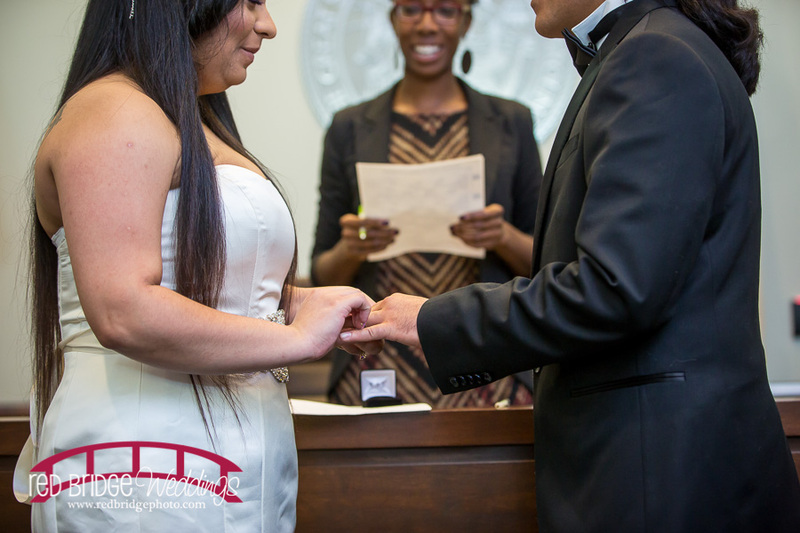 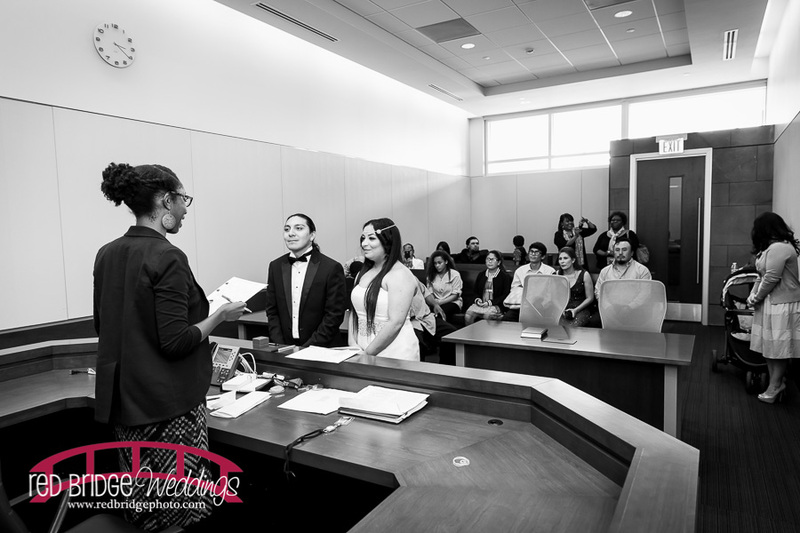 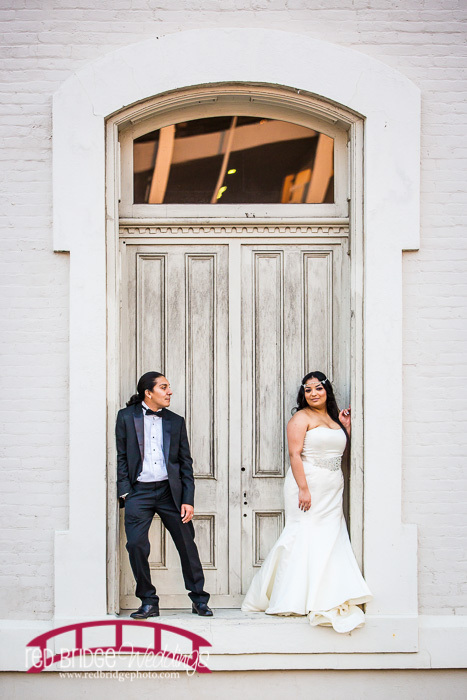 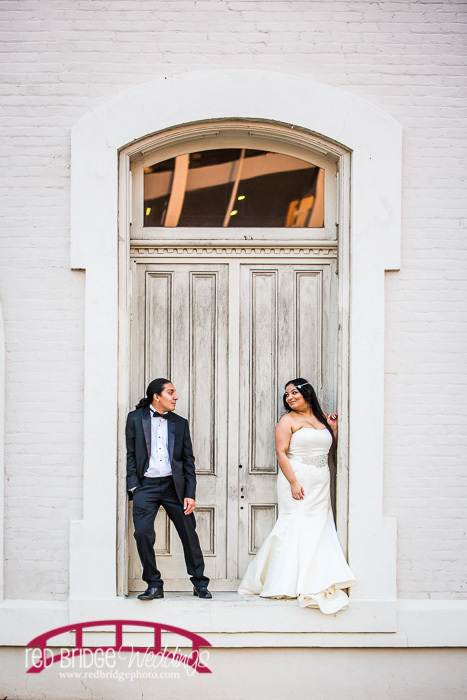 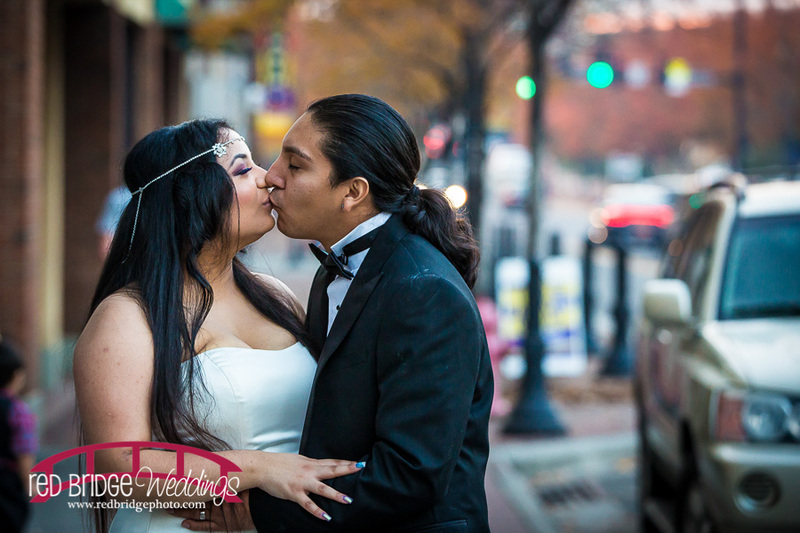 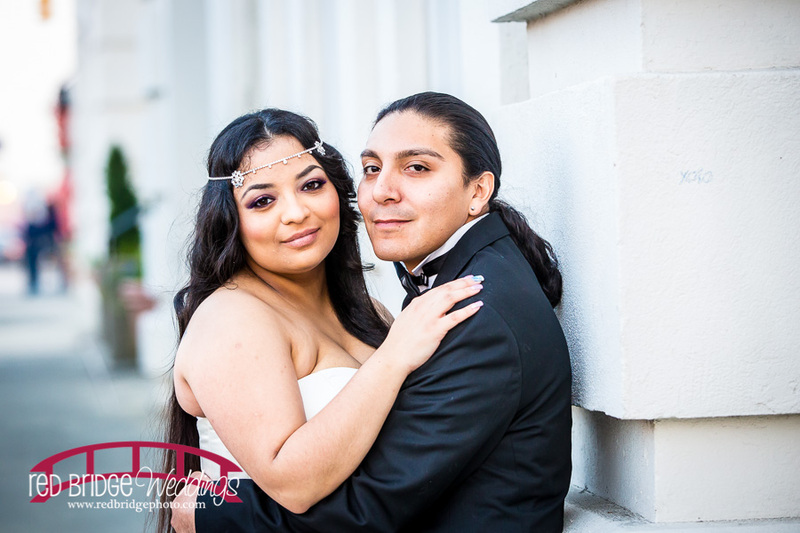 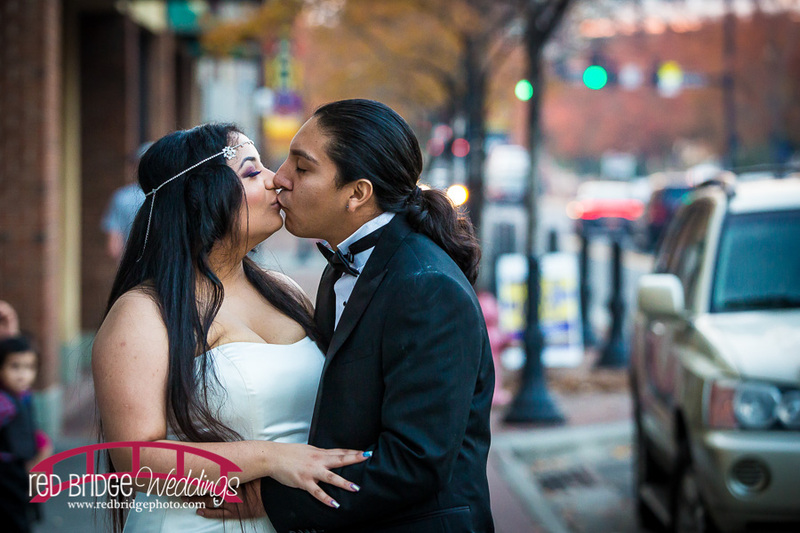 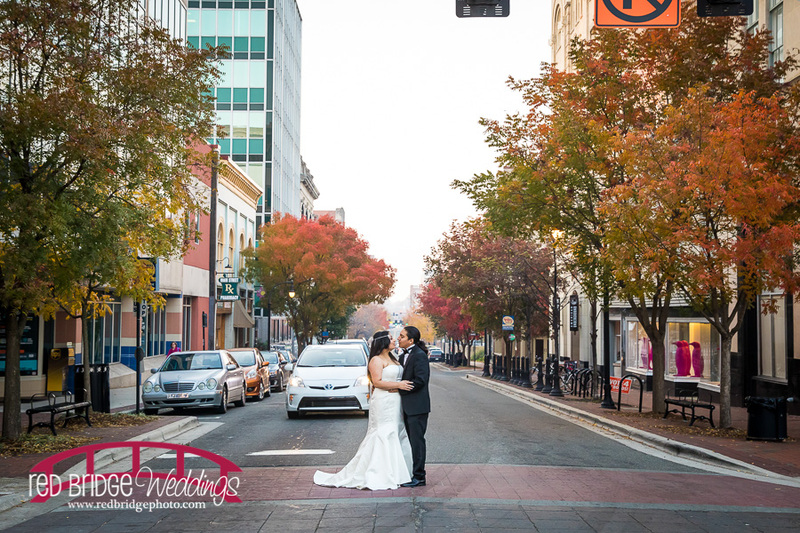 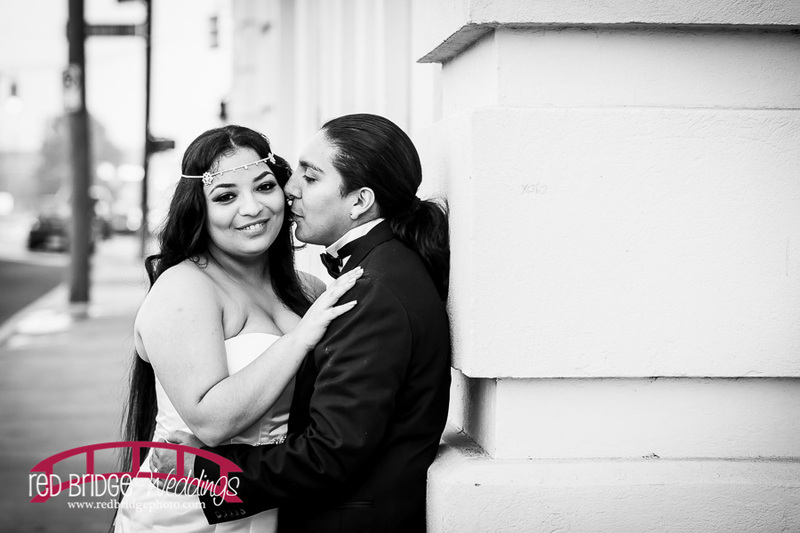 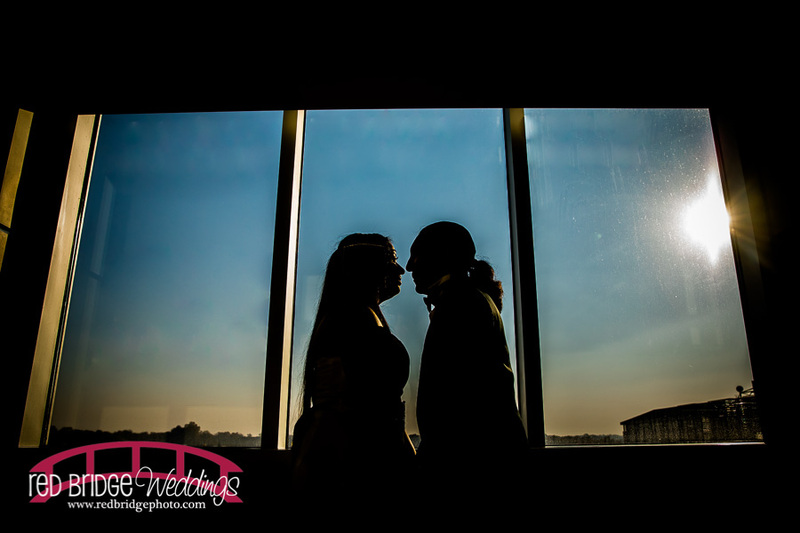 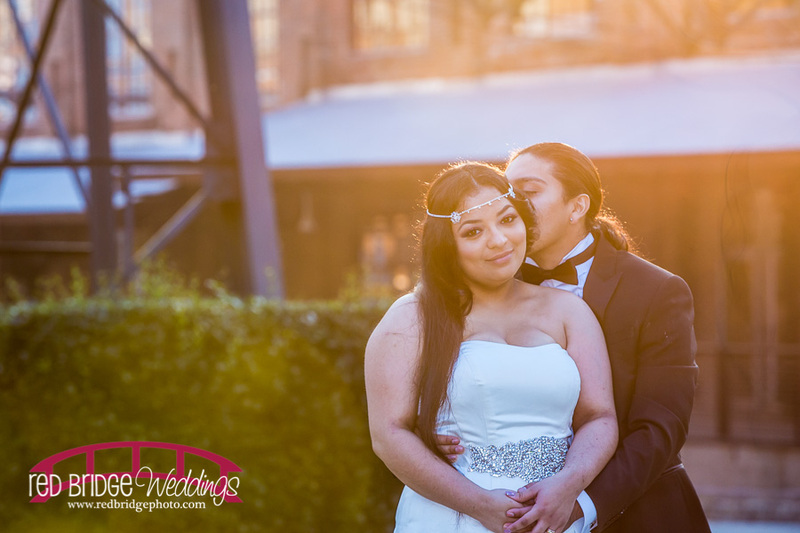 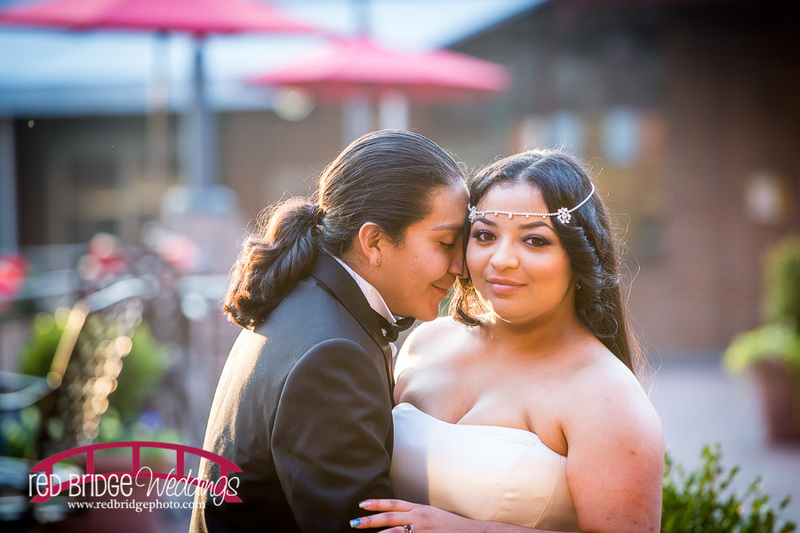 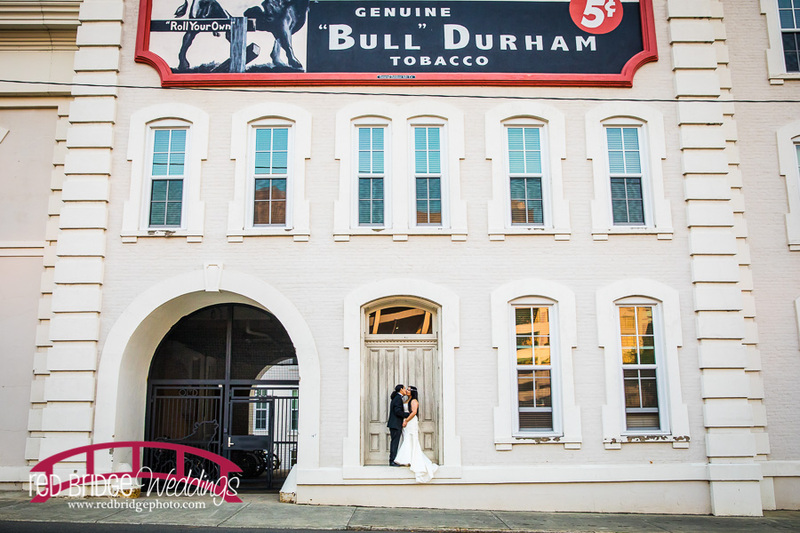 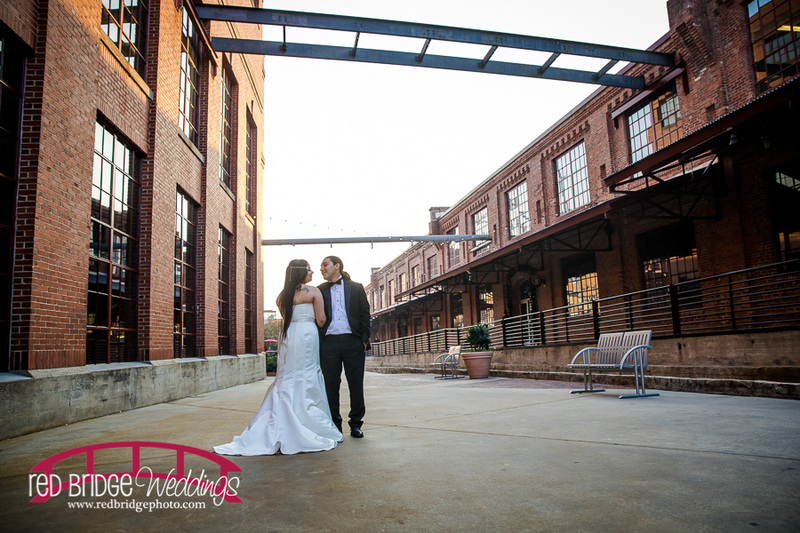 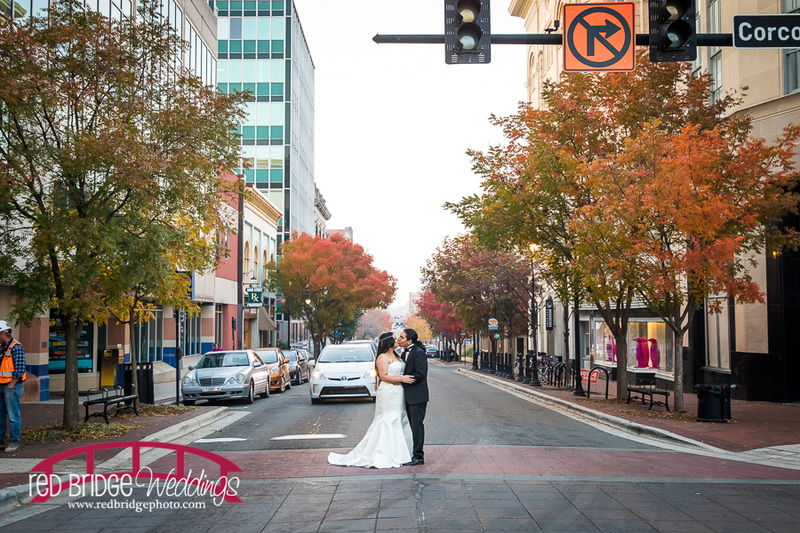 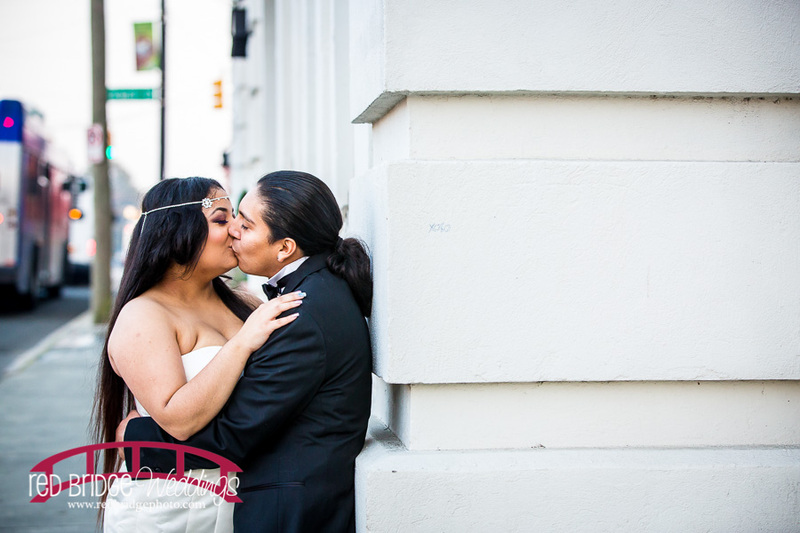 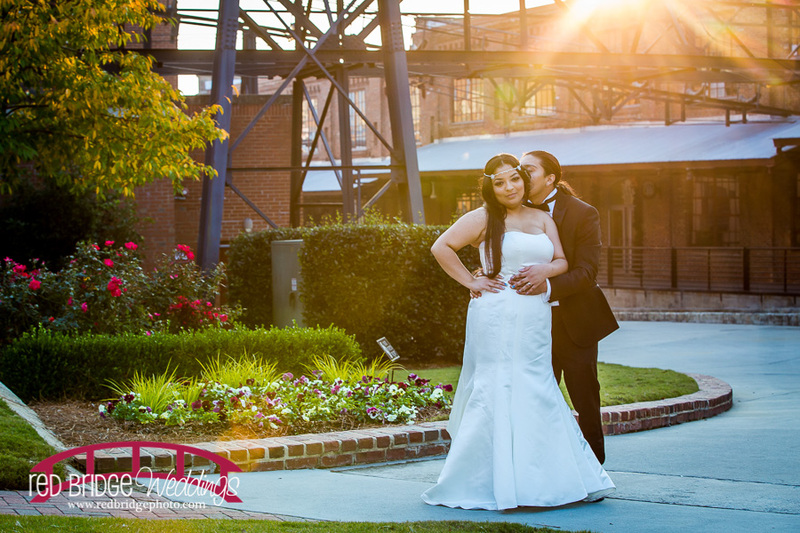 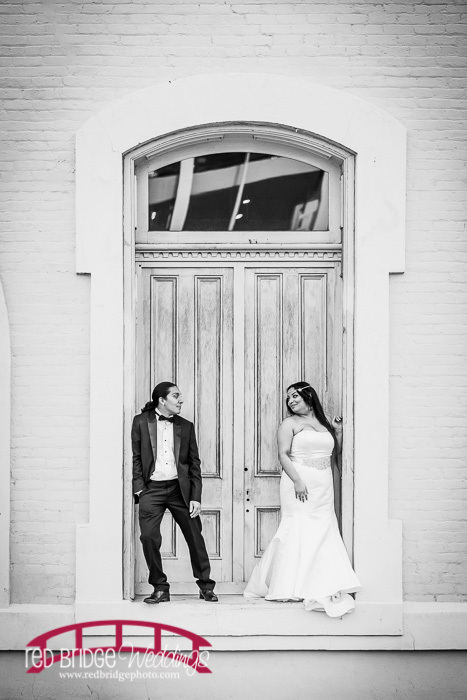 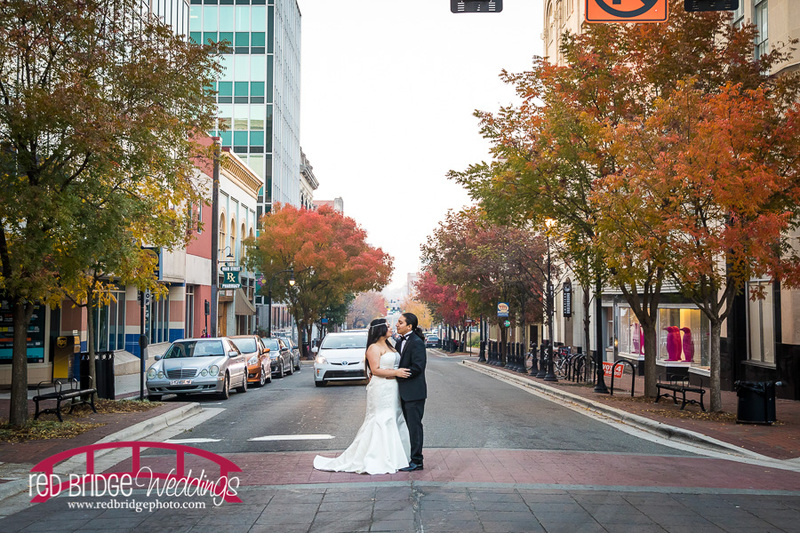 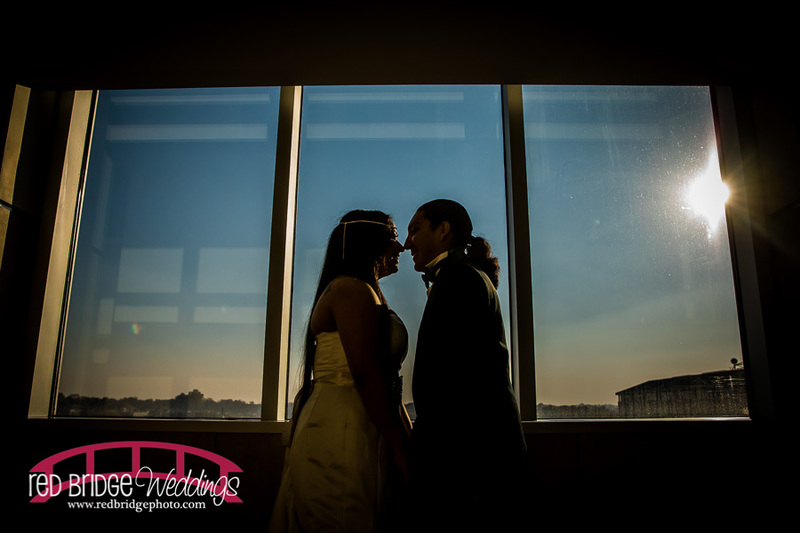 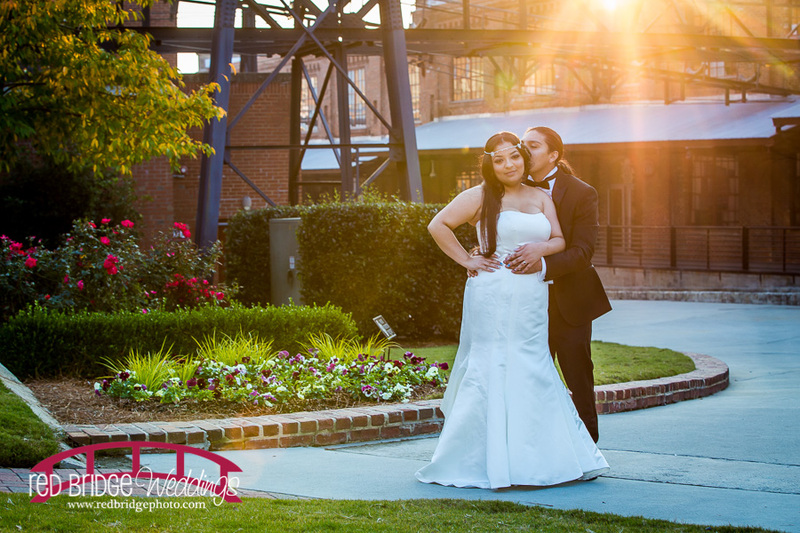 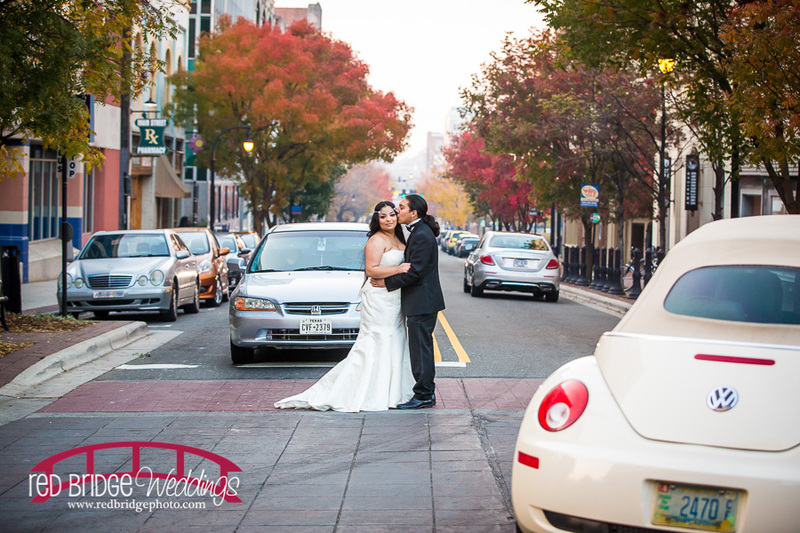 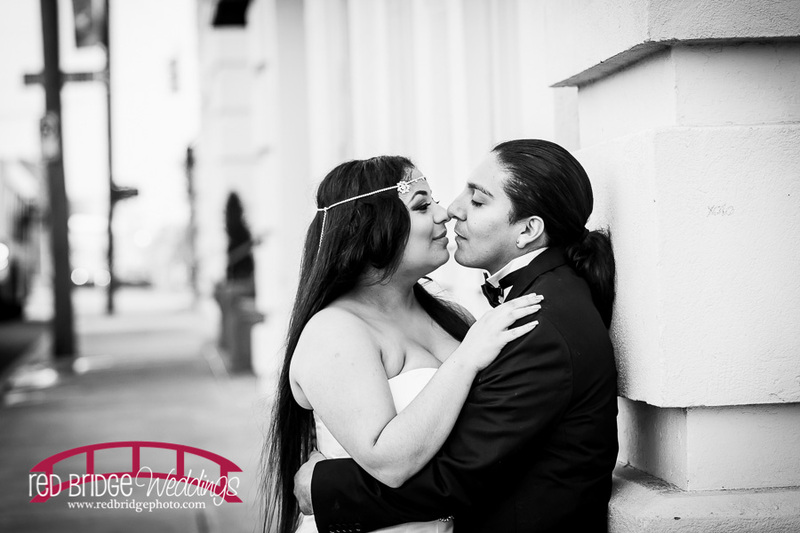 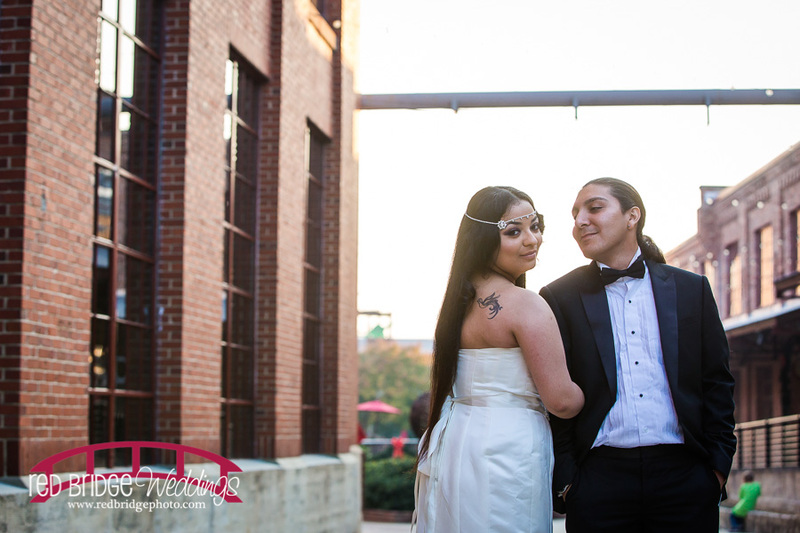 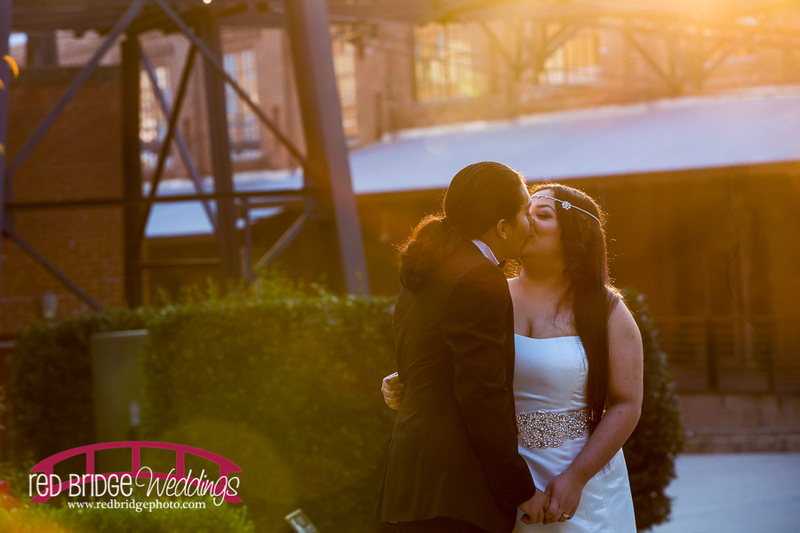 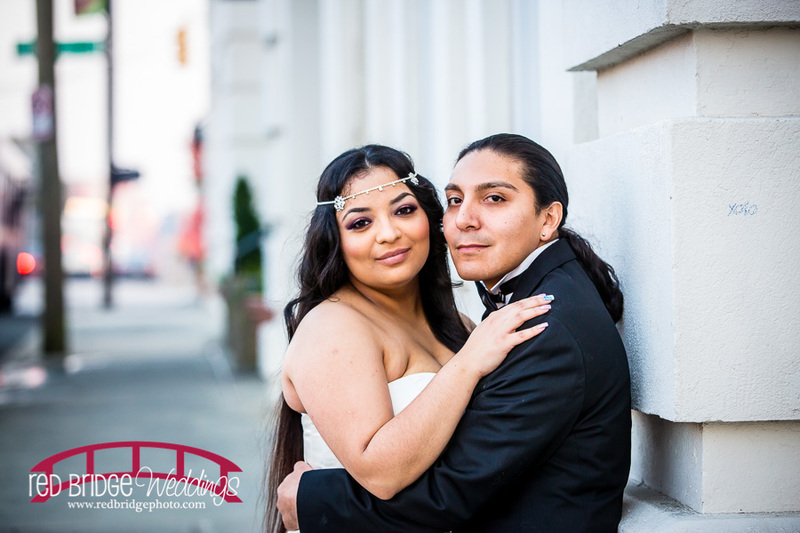 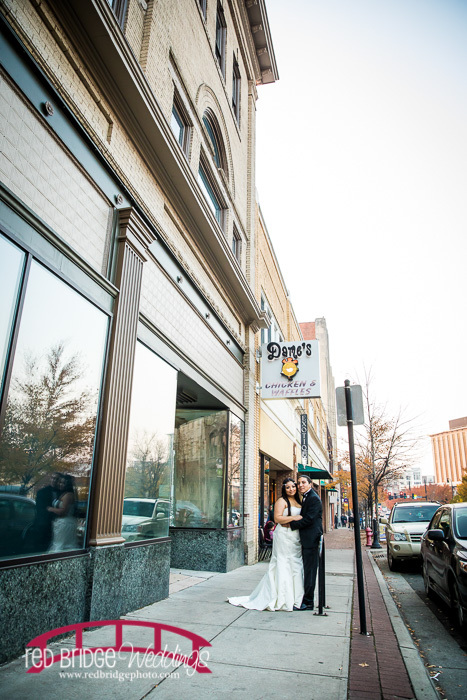 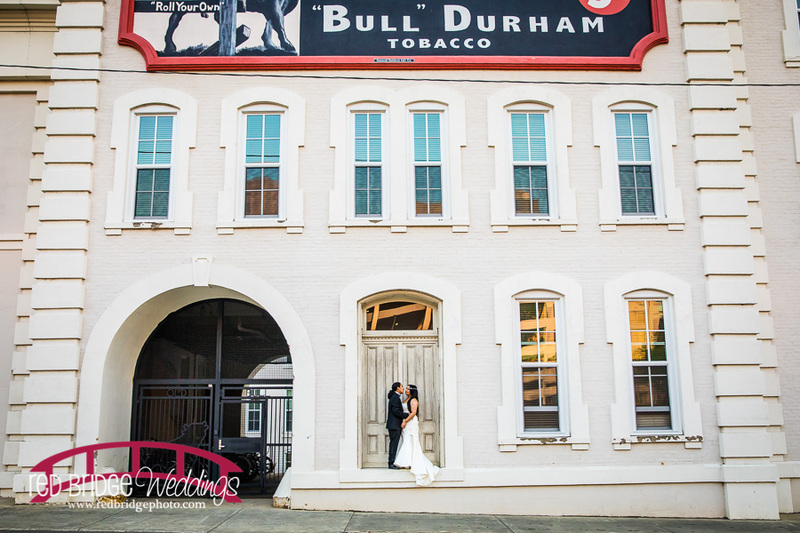 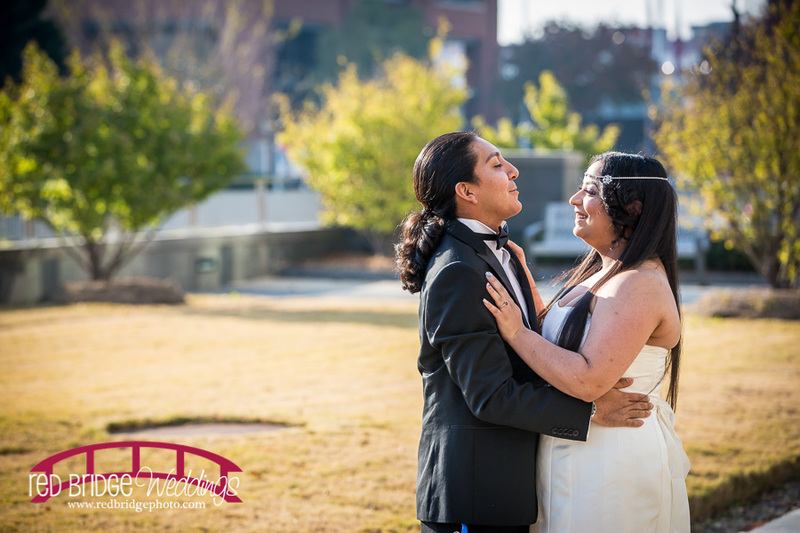 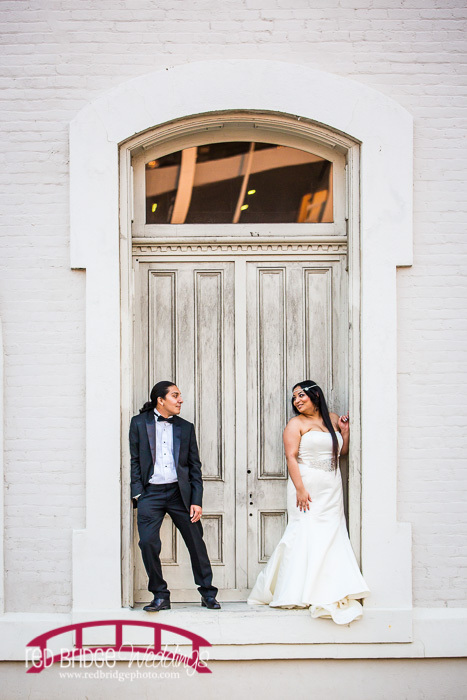 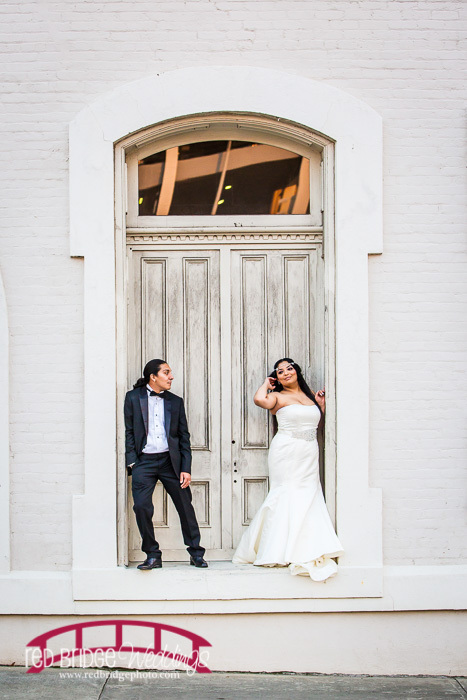 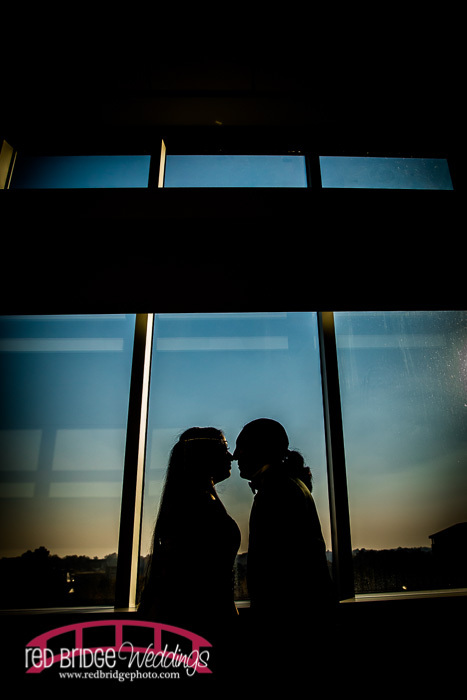 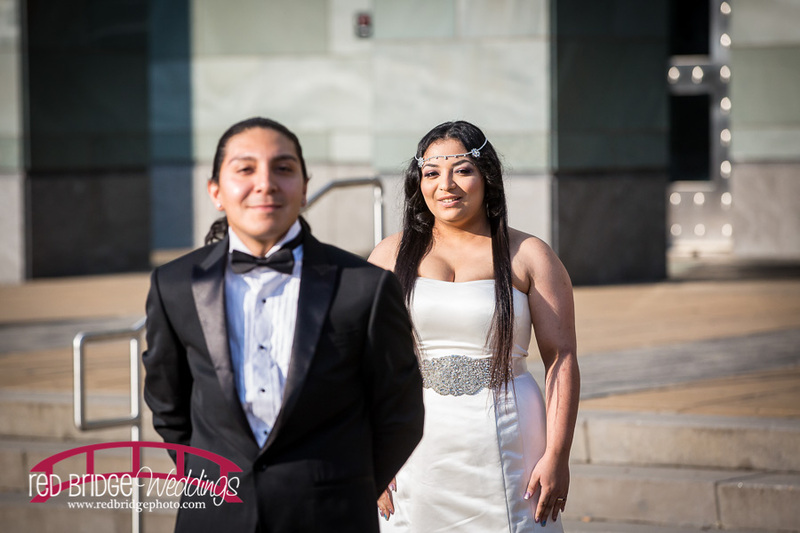 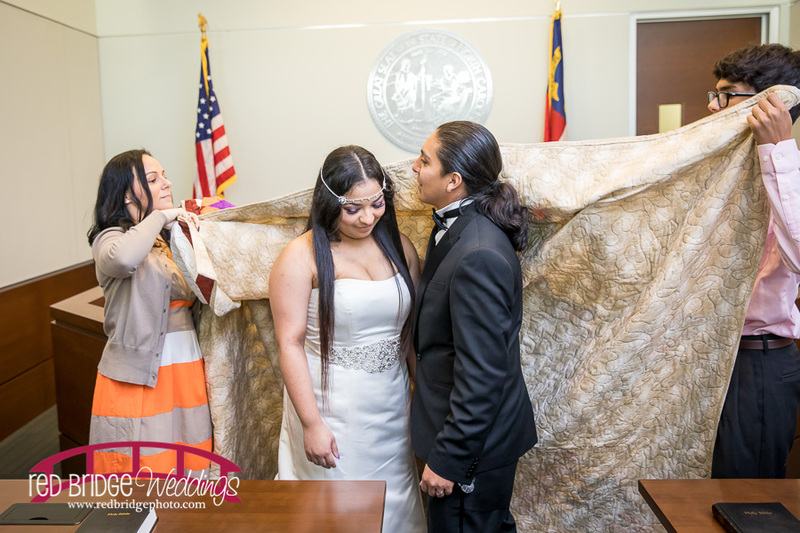 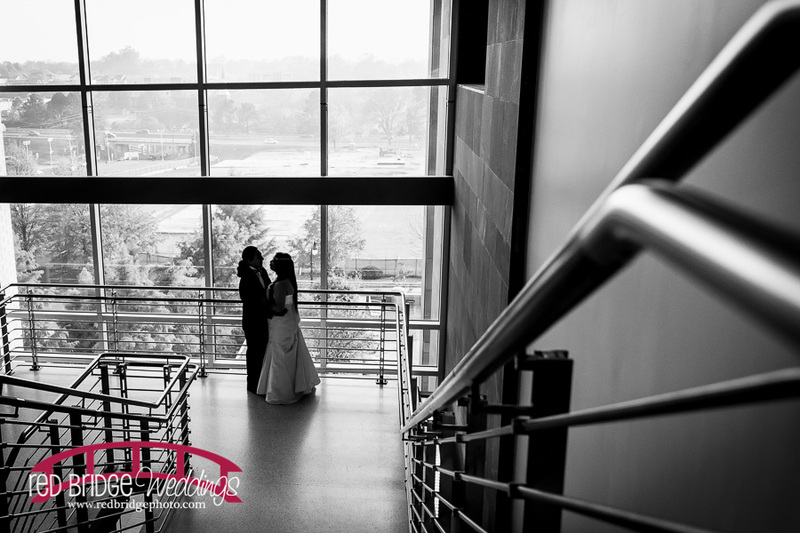 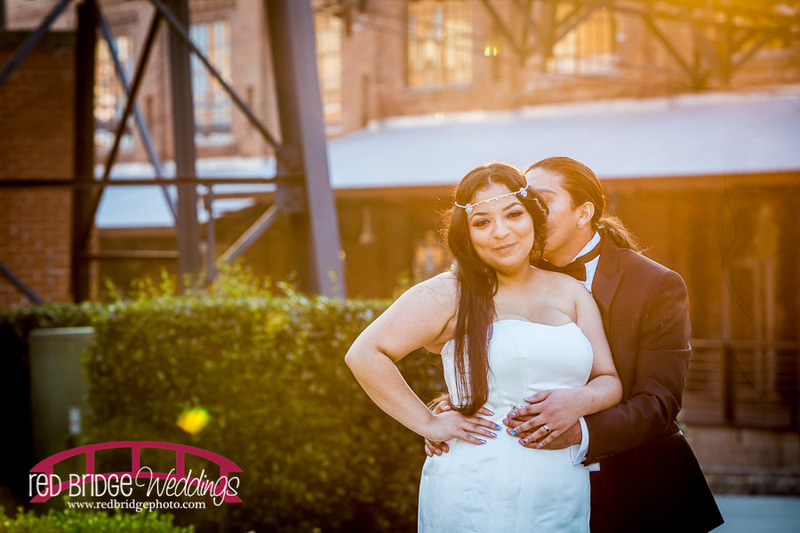 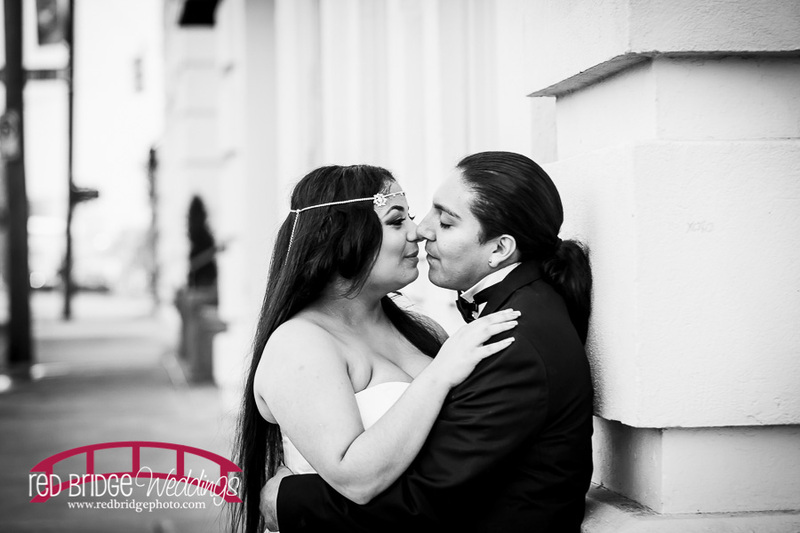 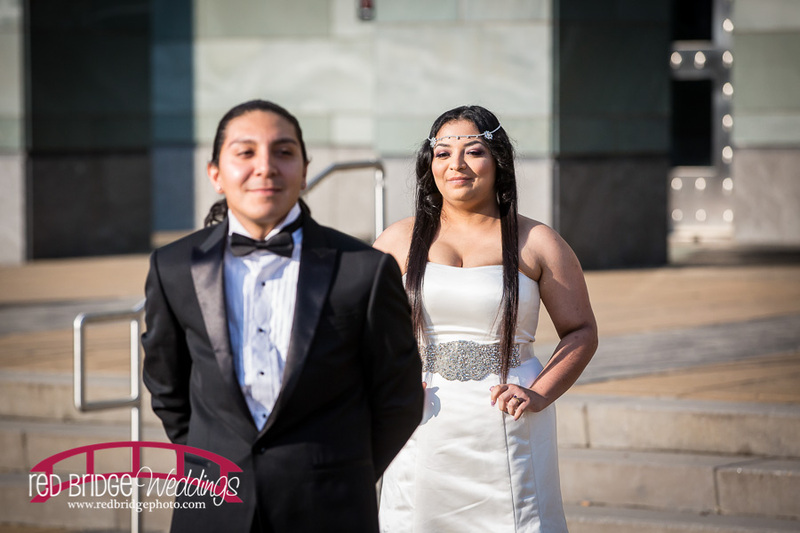 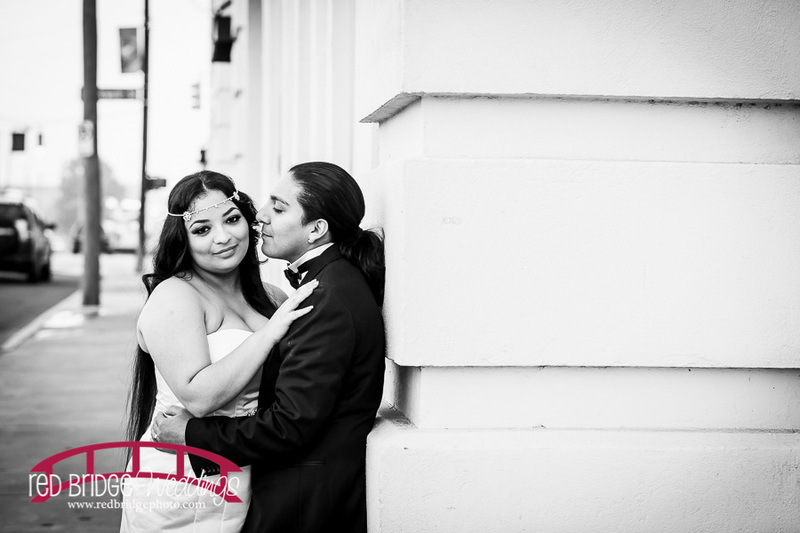 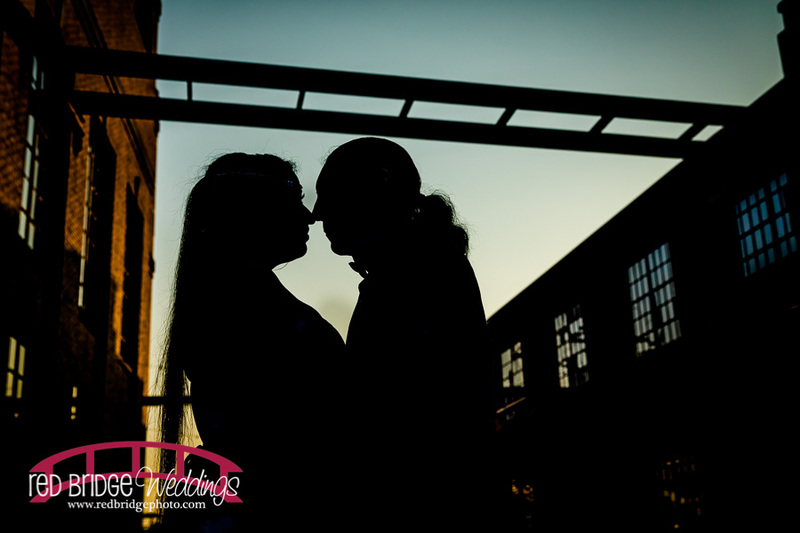 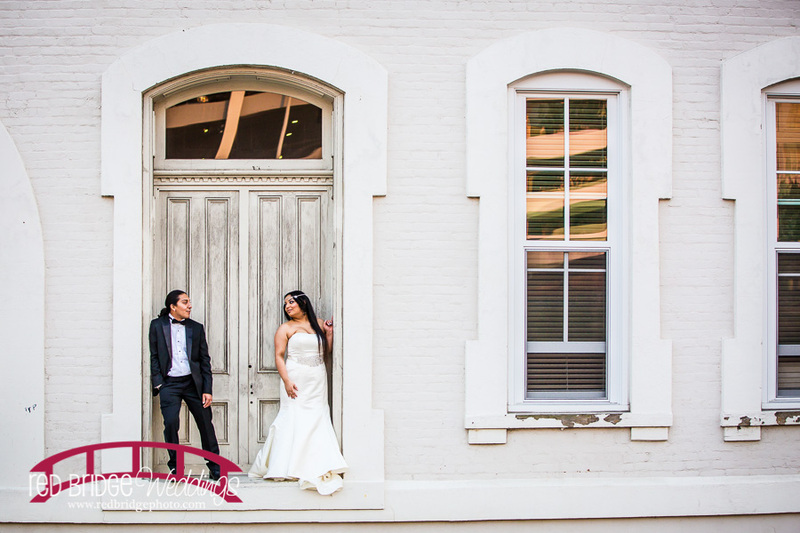 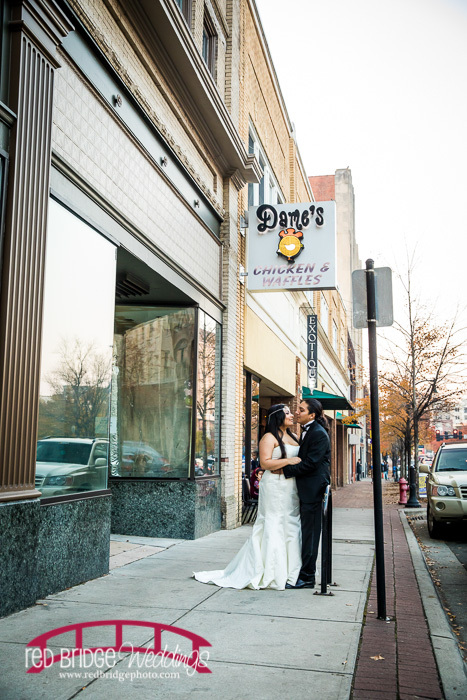 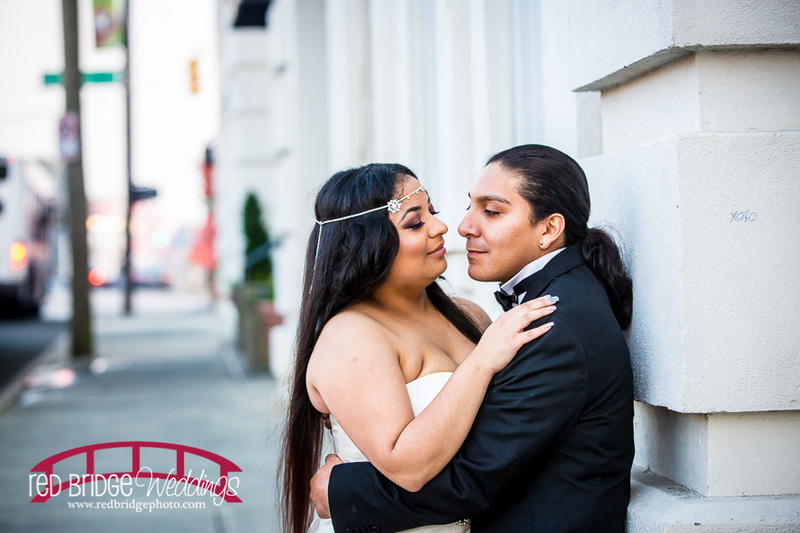 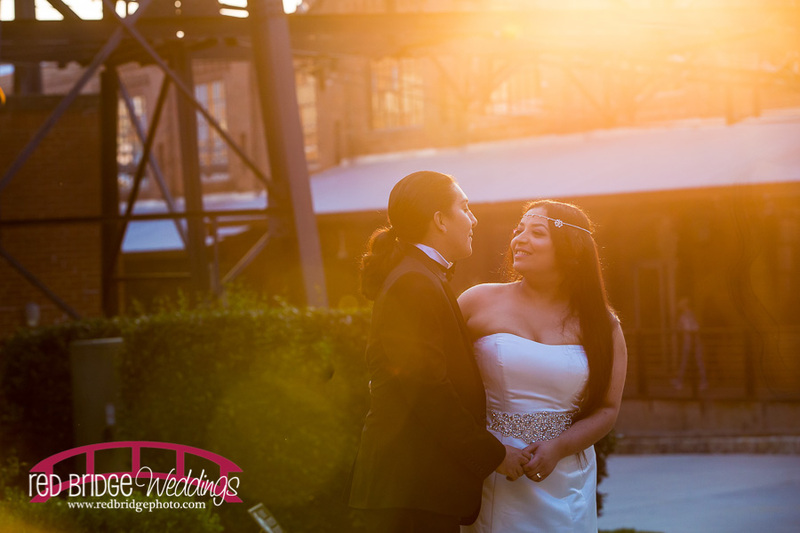 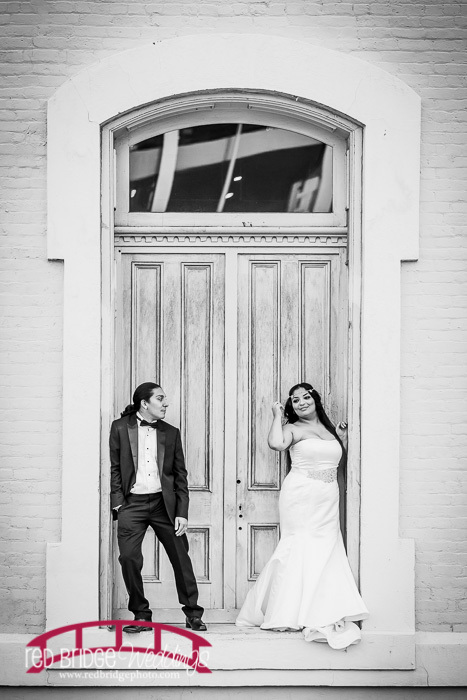 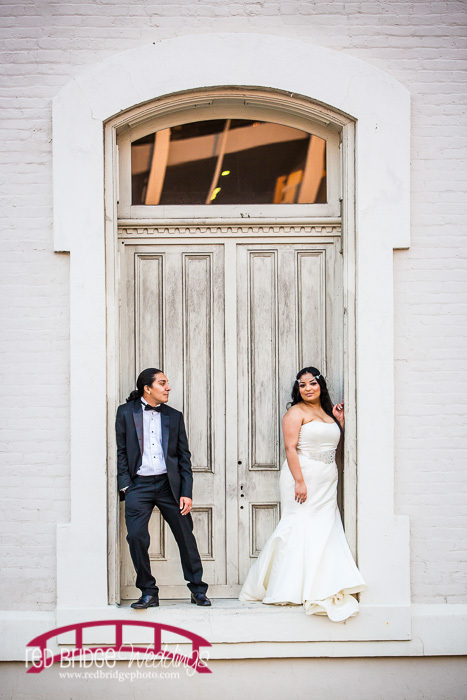 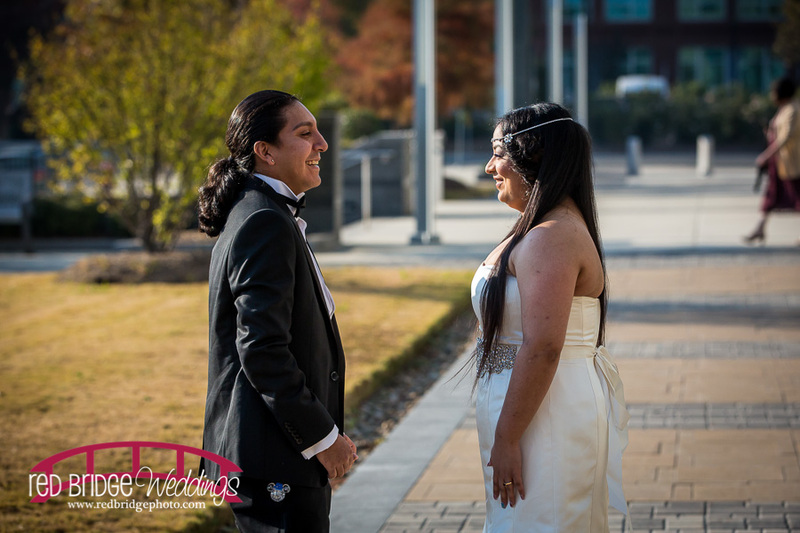 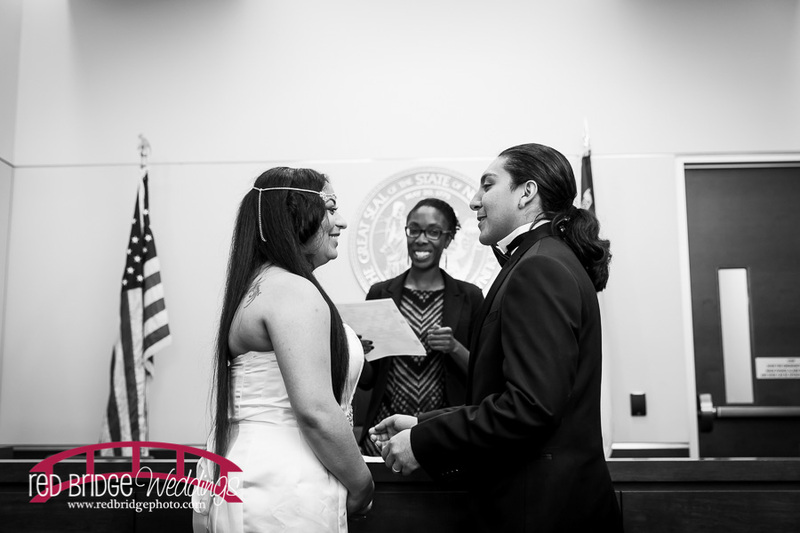 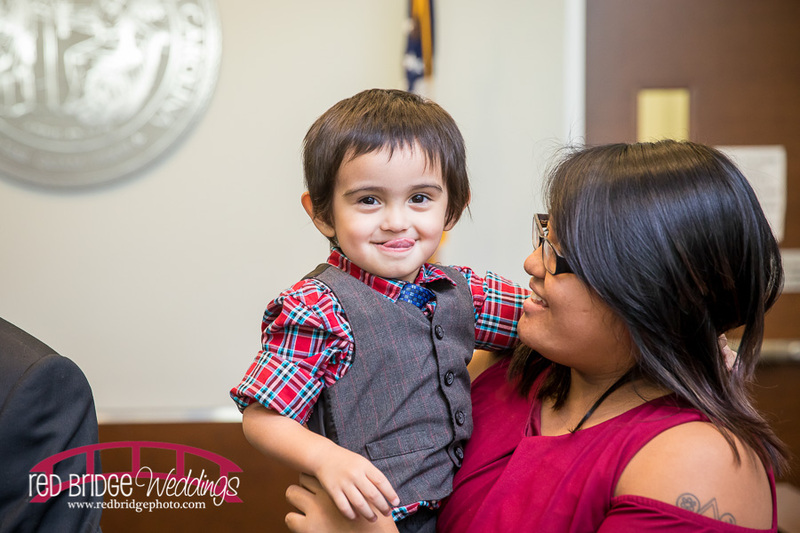 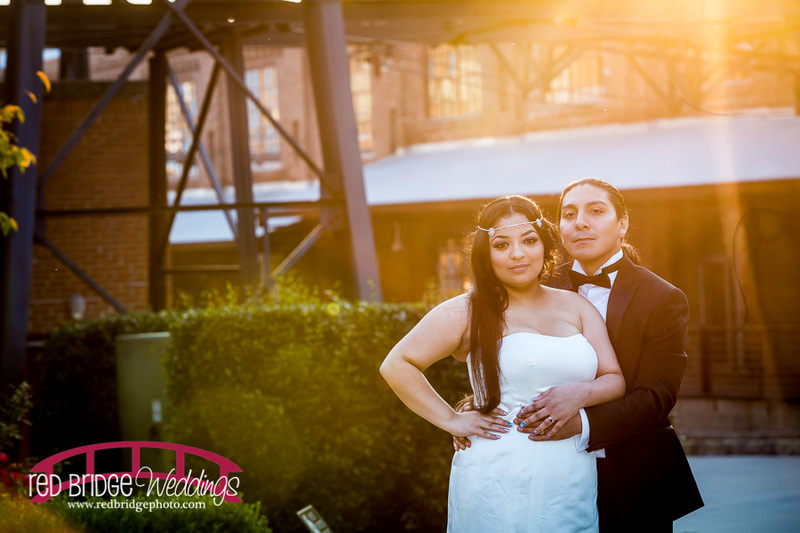 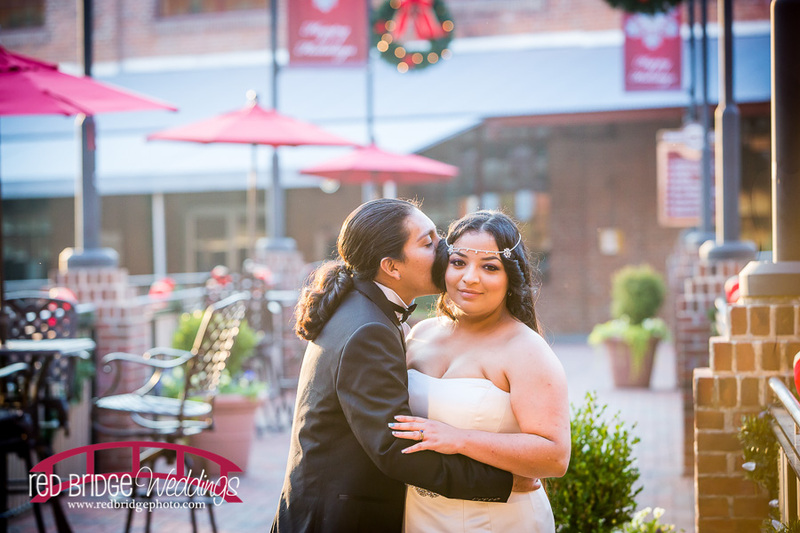 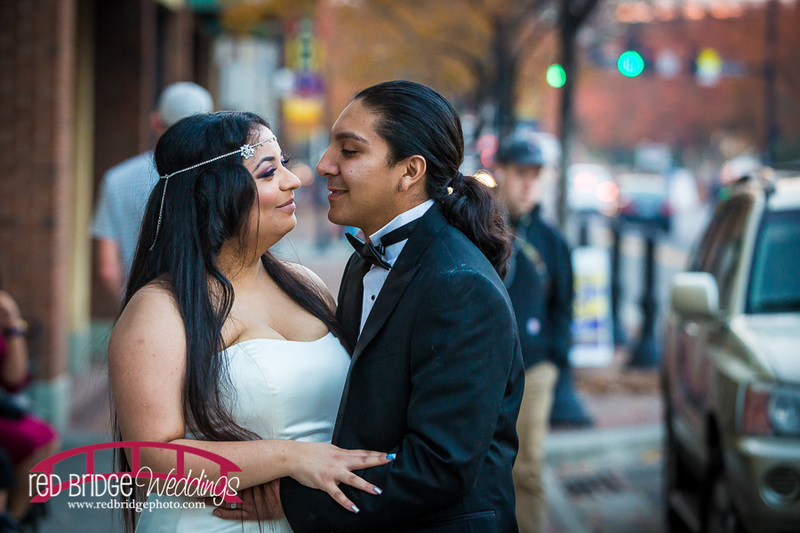 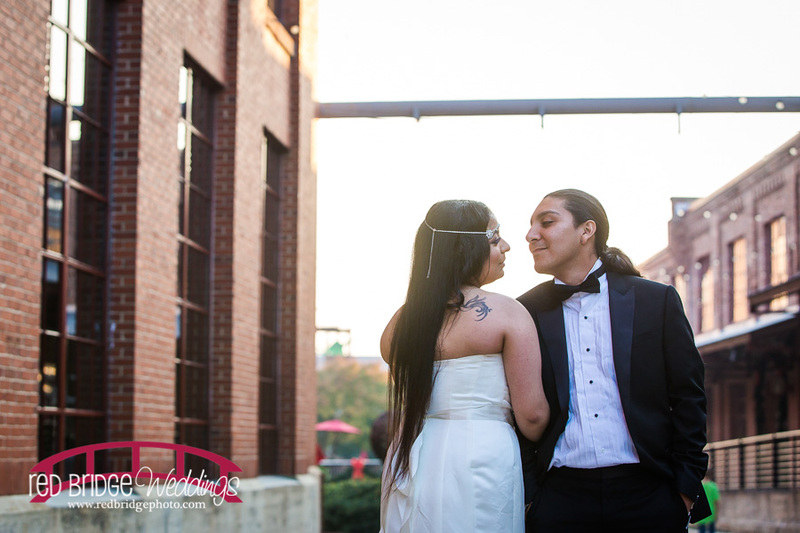 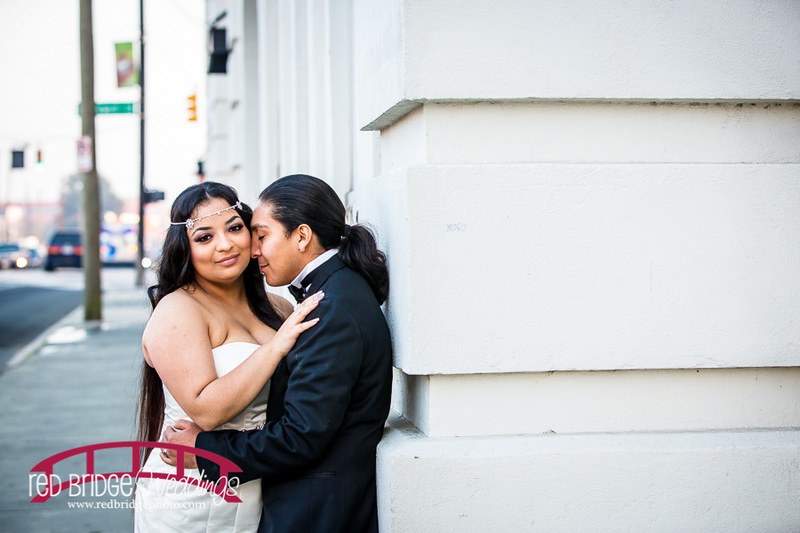 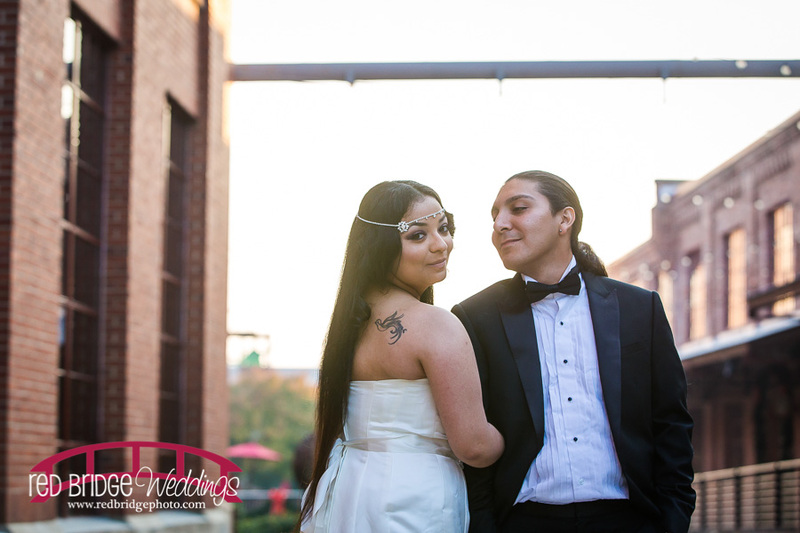 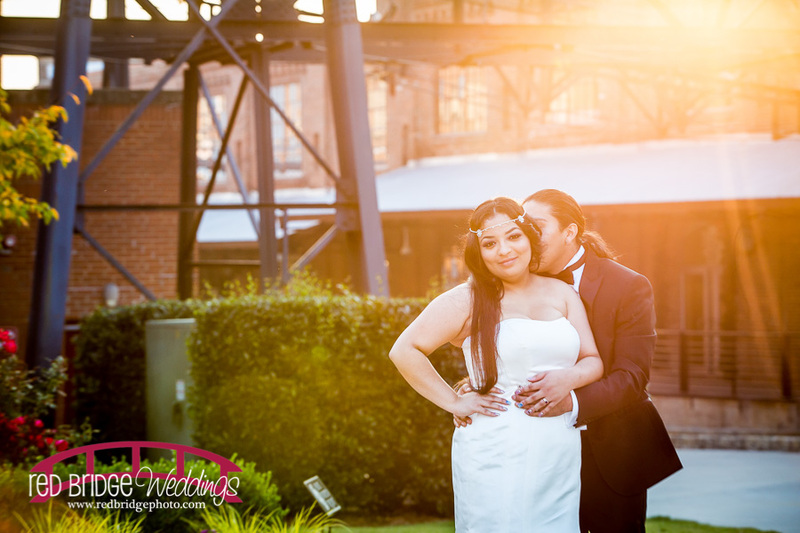 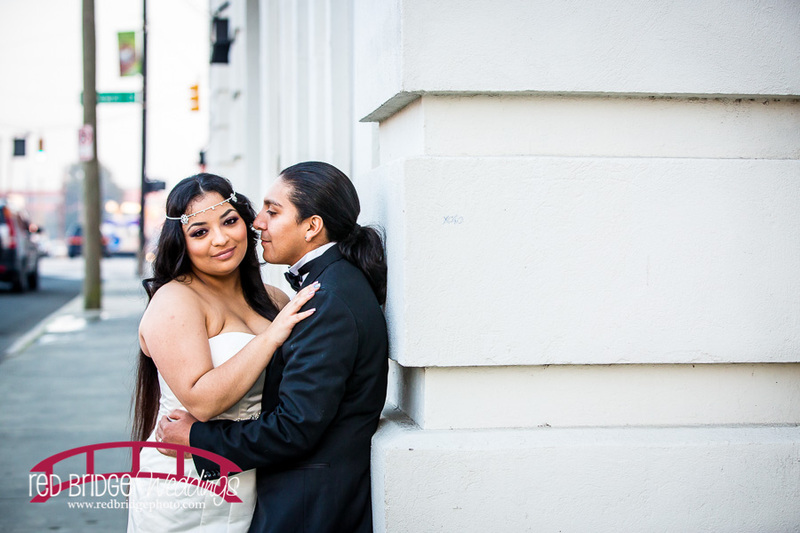 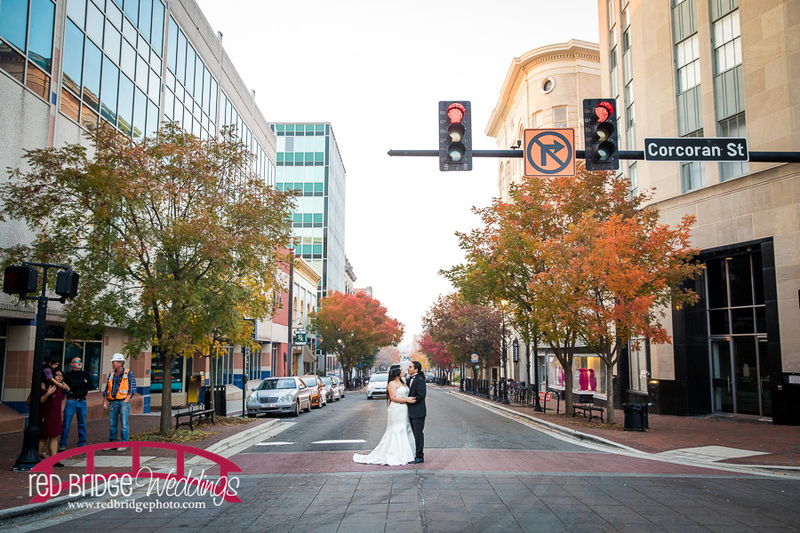 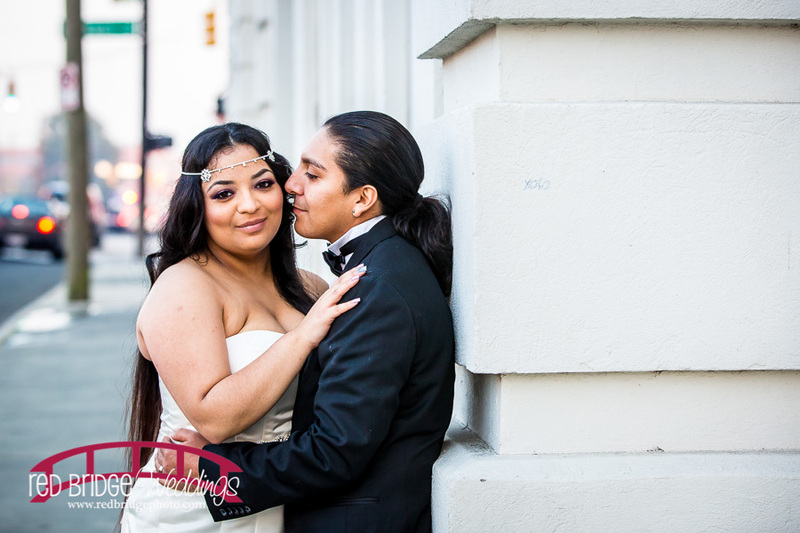 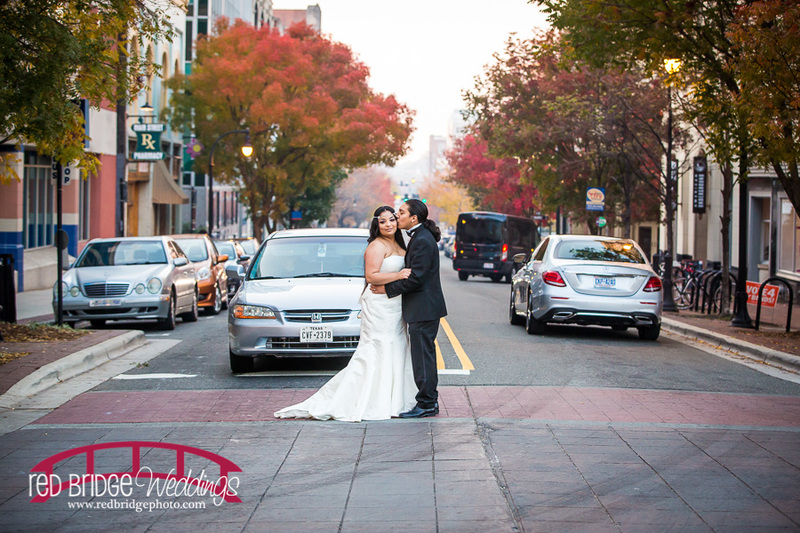 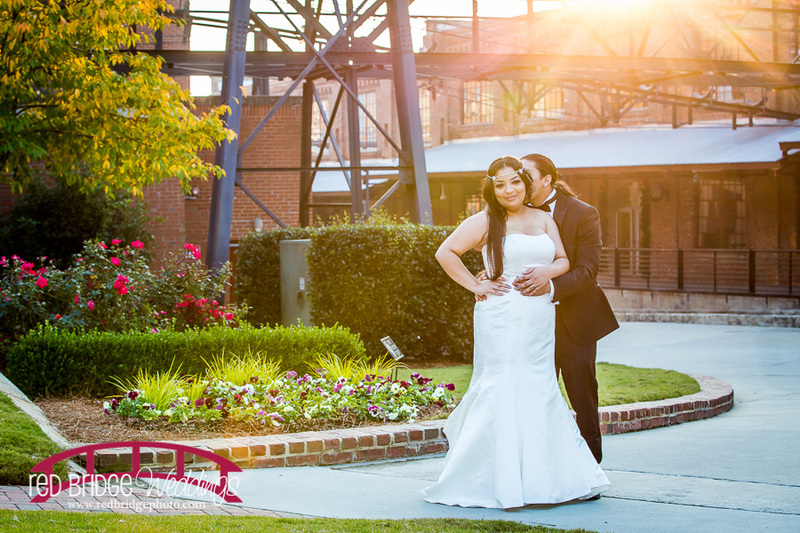 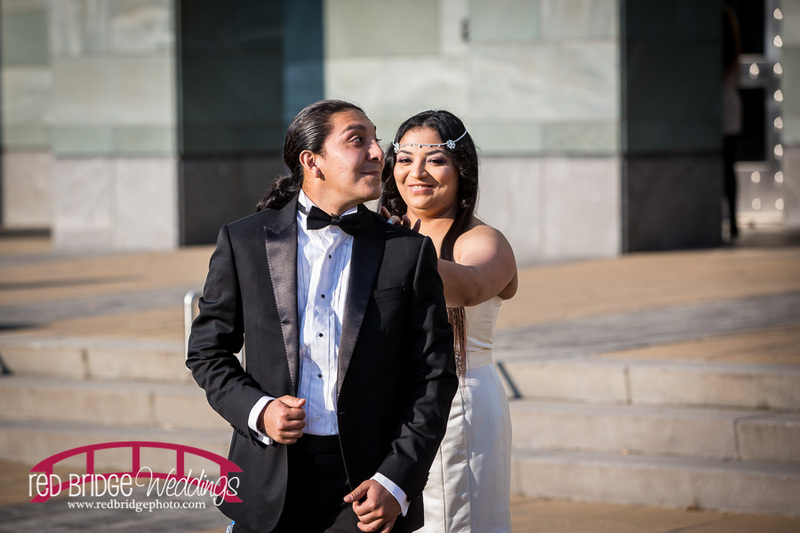 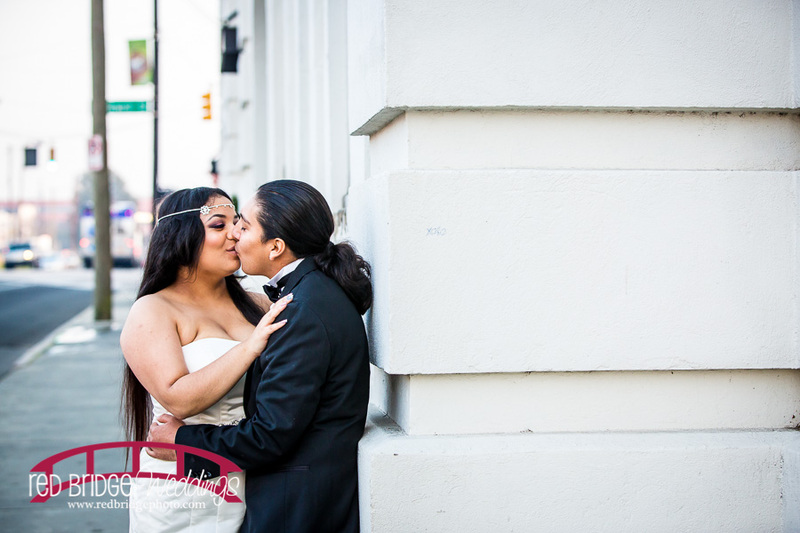 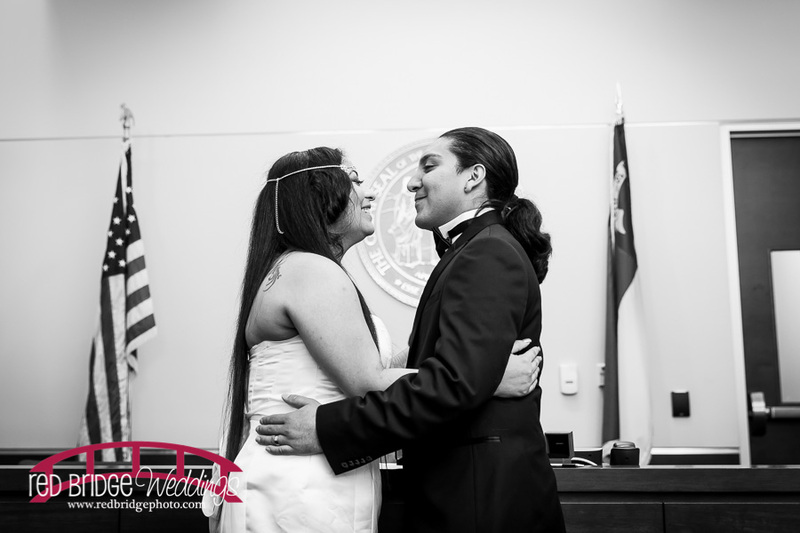 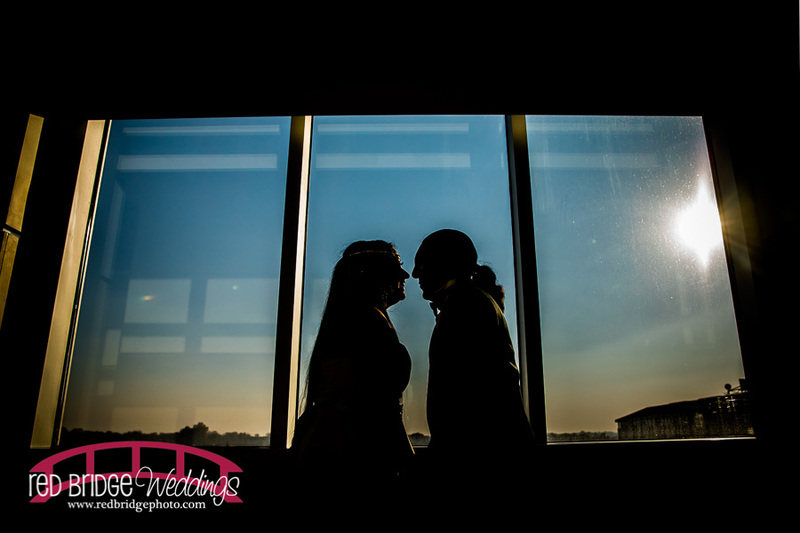 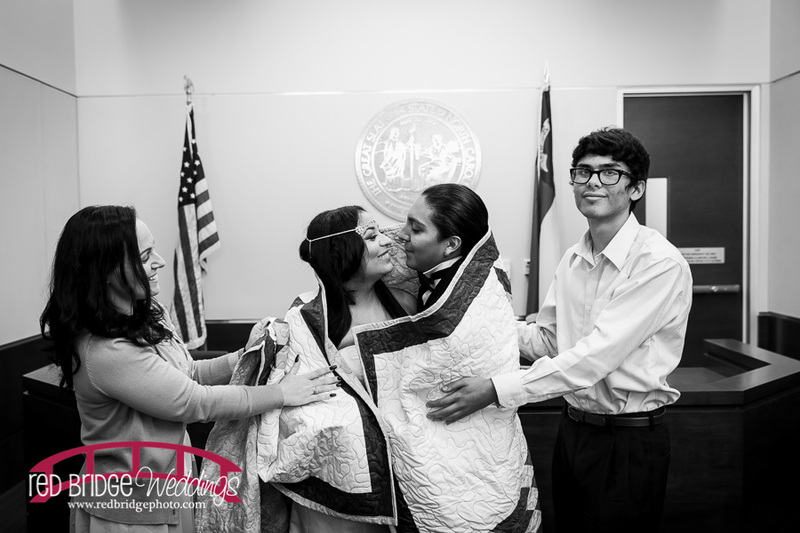 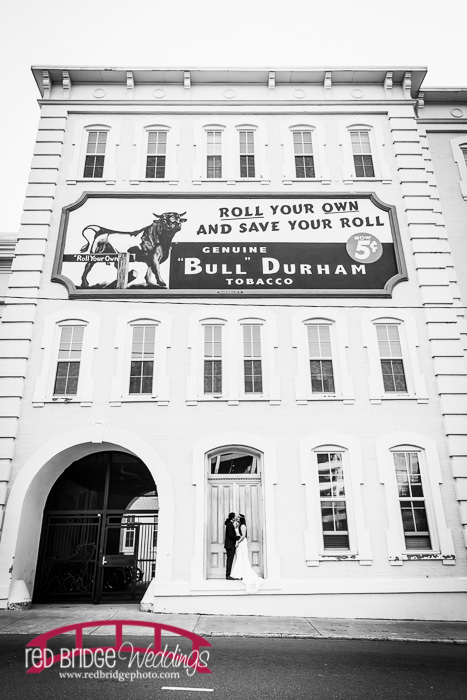 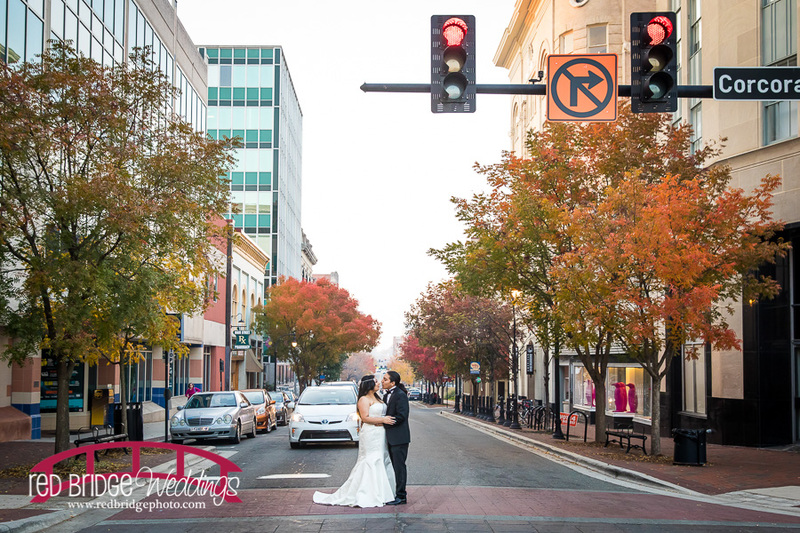 Desiree and Fernando were so prepared and planned so far in advance we actually met a full year and a half in advance of their wedding at the Durham County Courthouse. 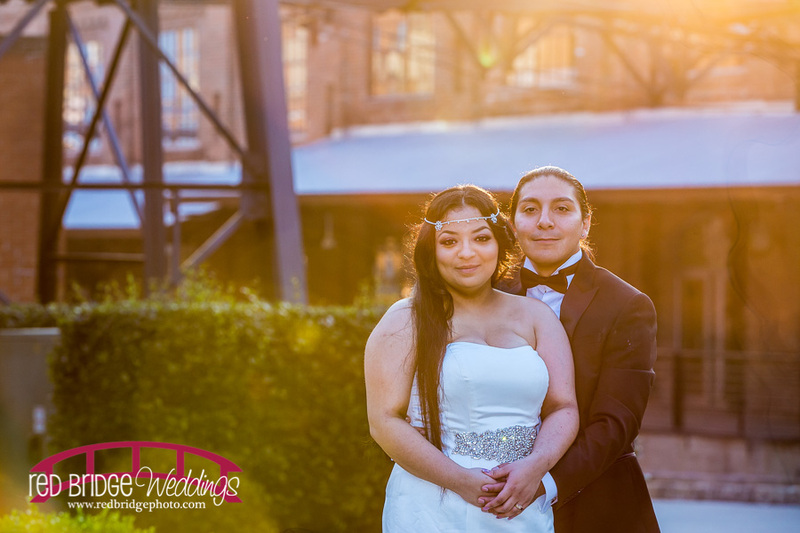 They did one of the smartest things I can think of – they really wanted to go to Disney World for their honeymoon and that meant that they needed to save for a while before they could enjoy the trip with everything being paid for already. 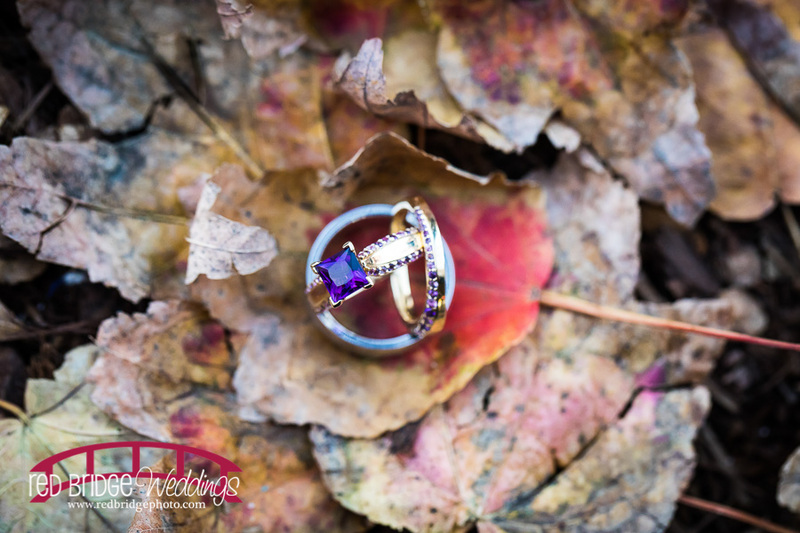 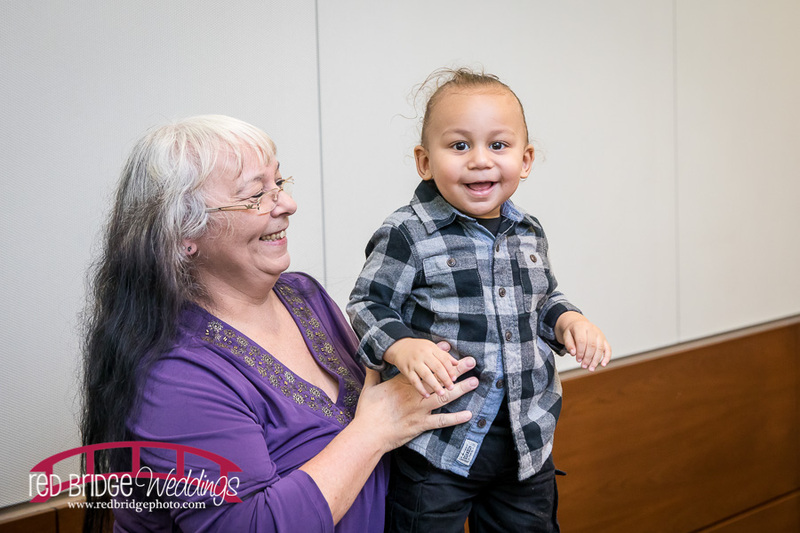 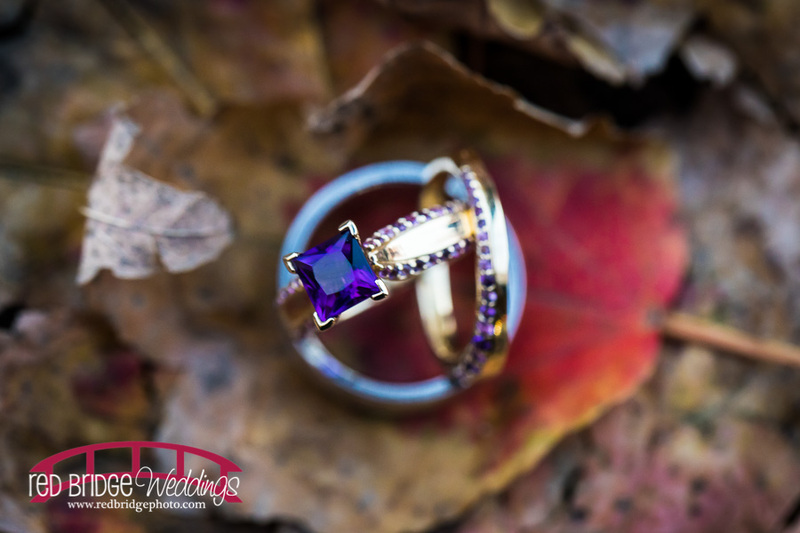 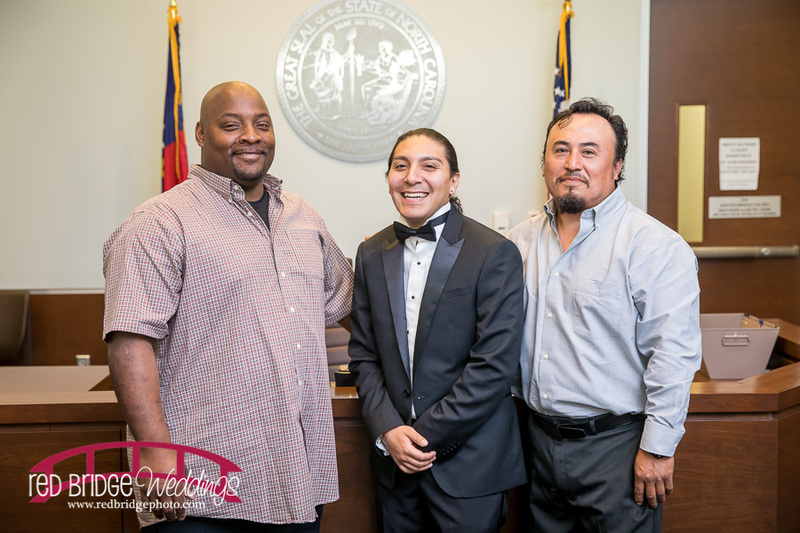 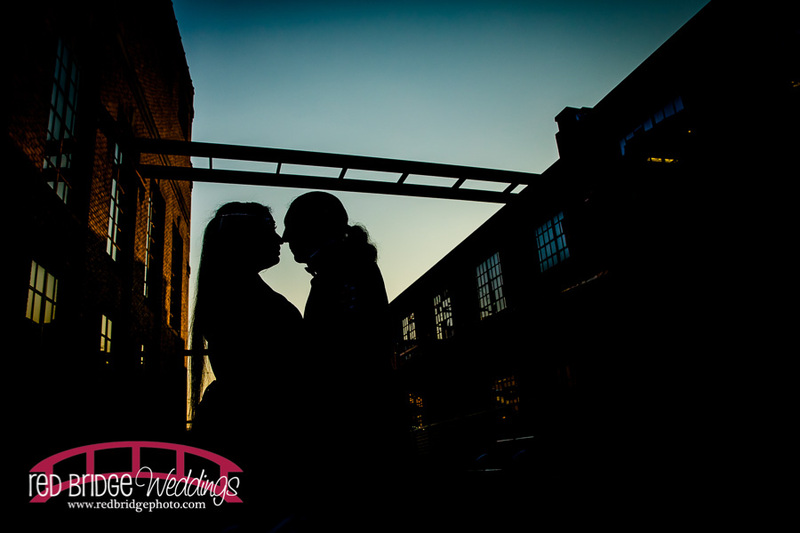 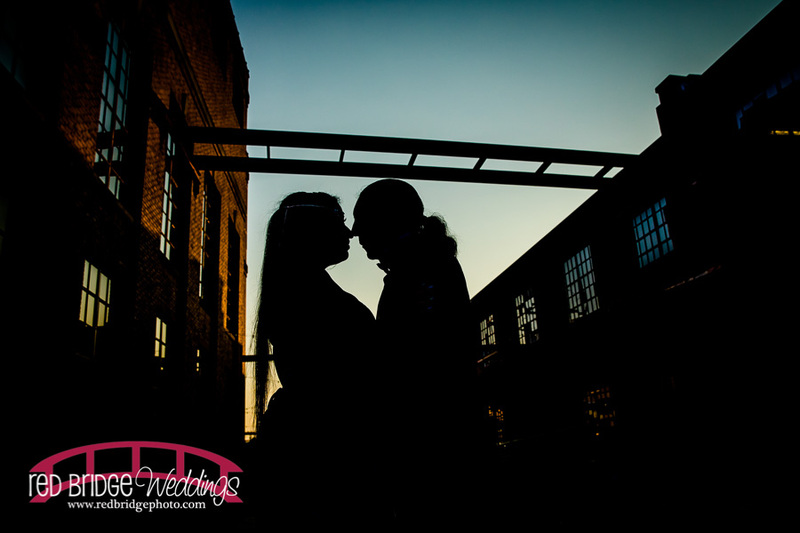 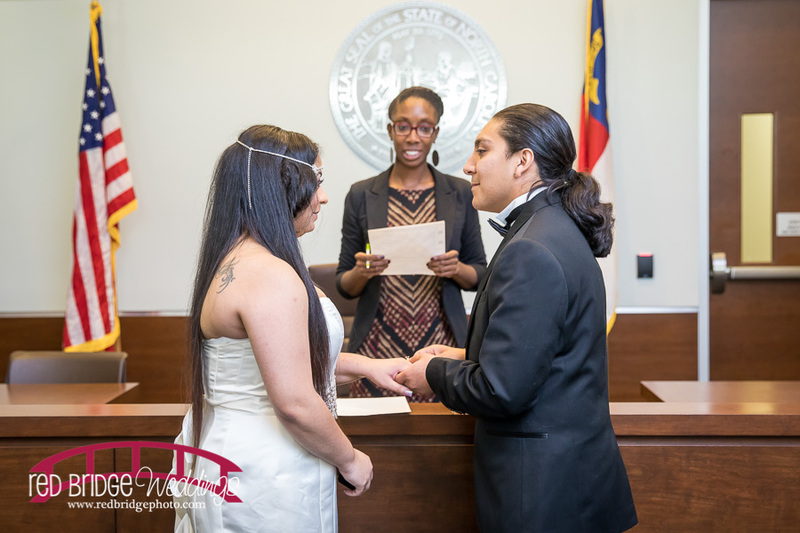 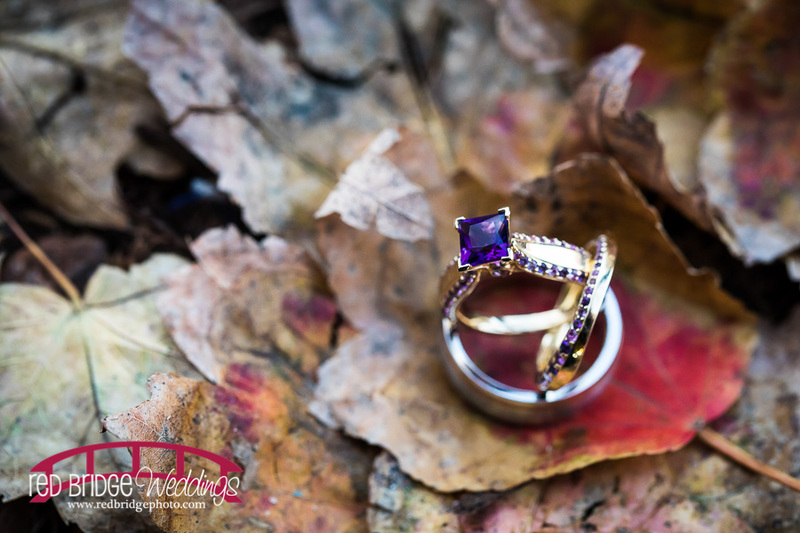 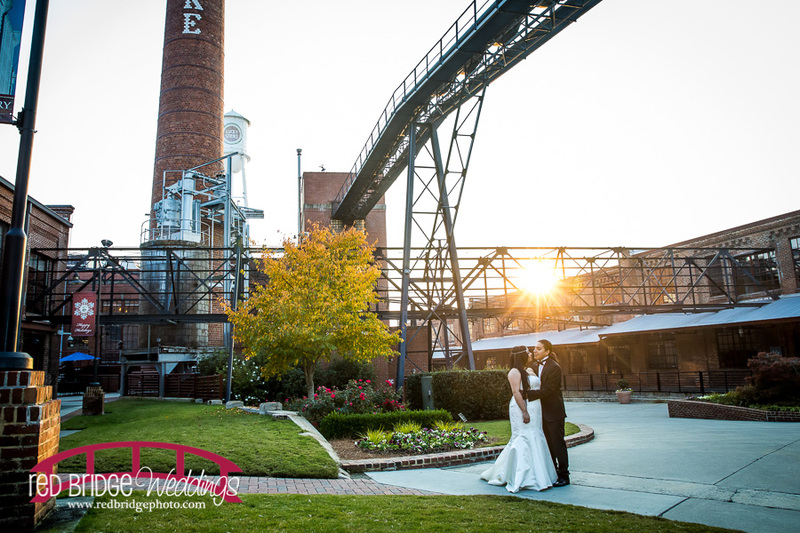 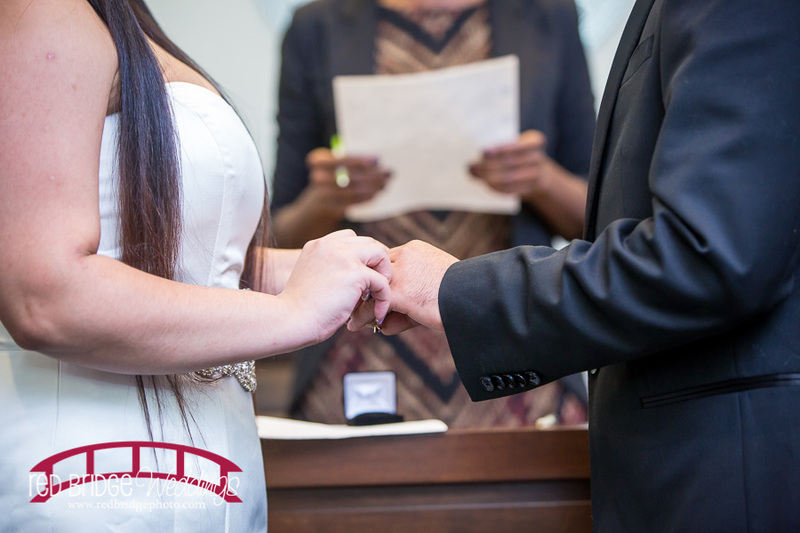 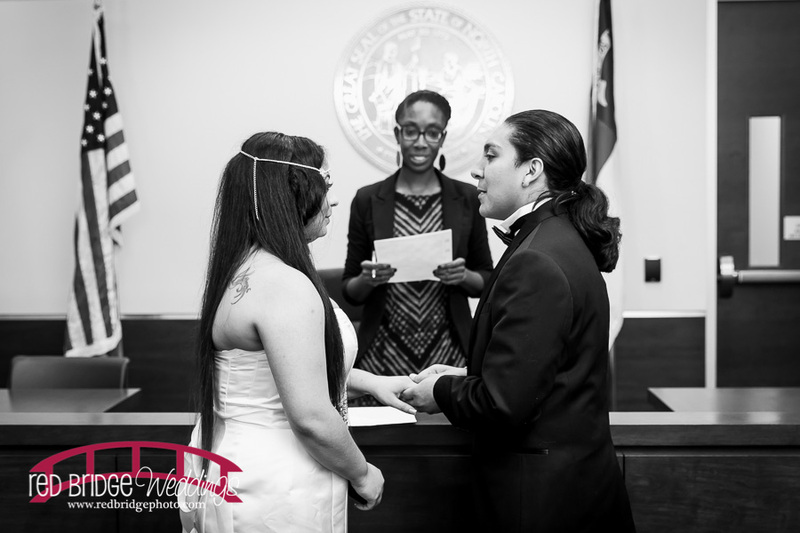 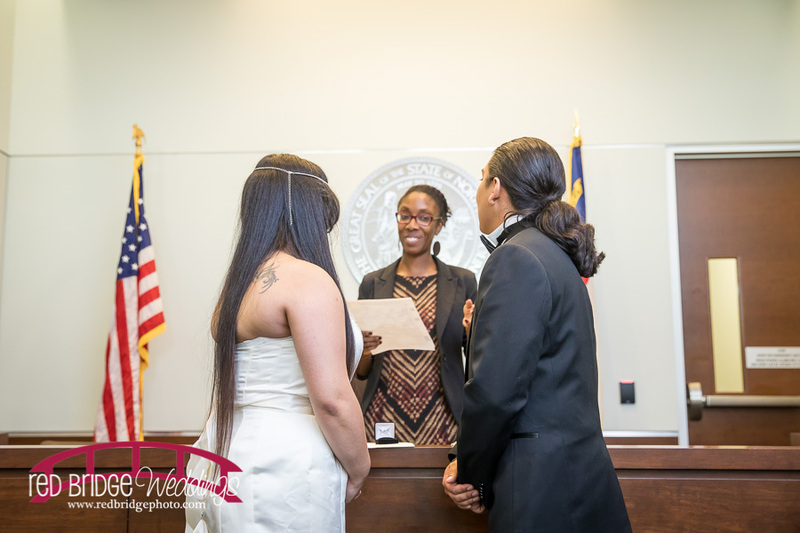 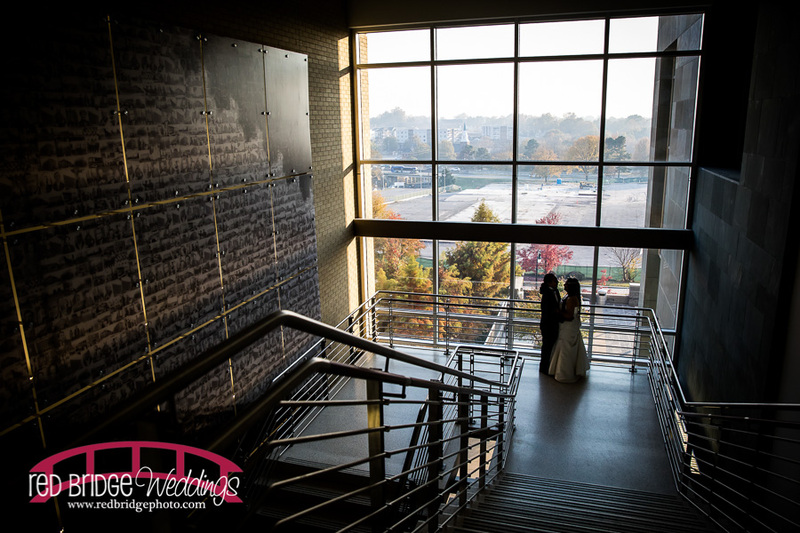 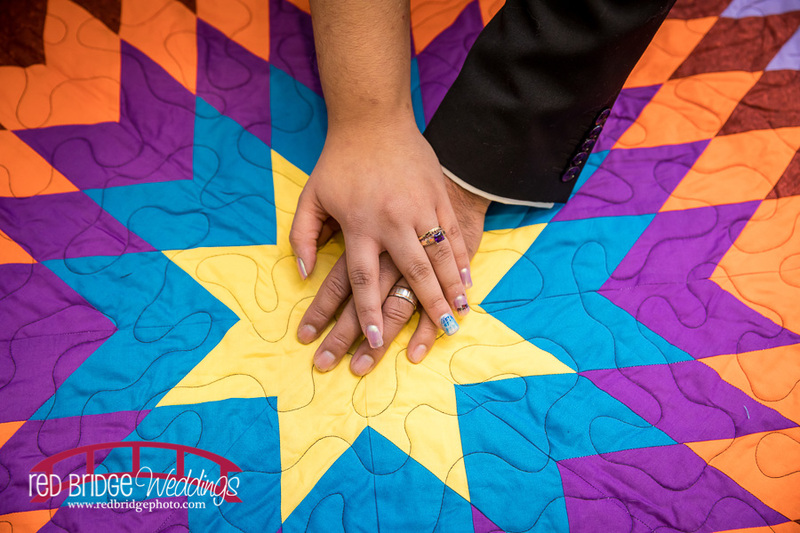 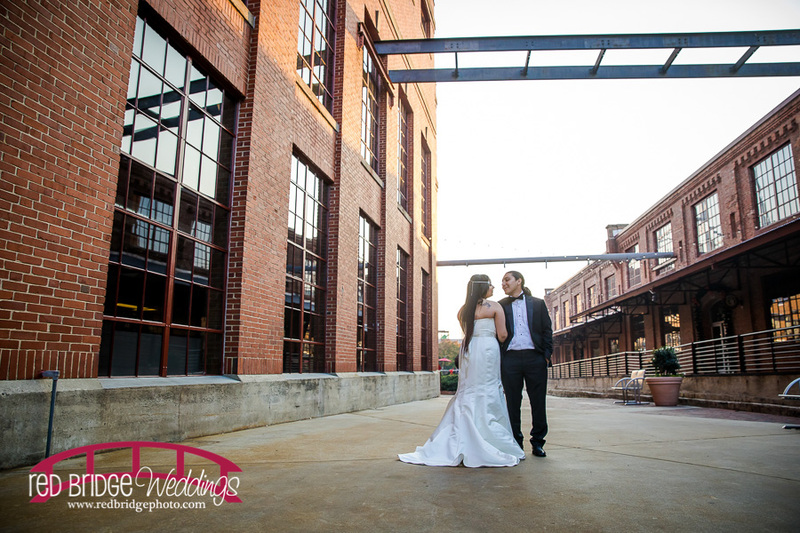 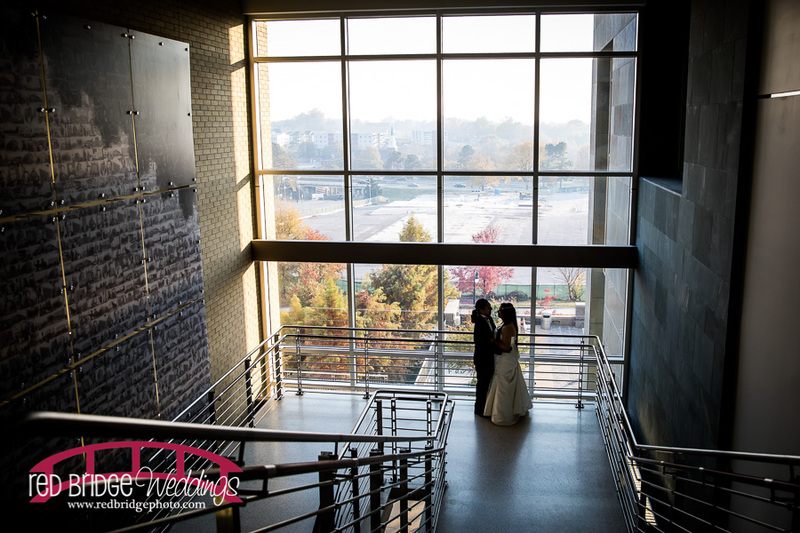 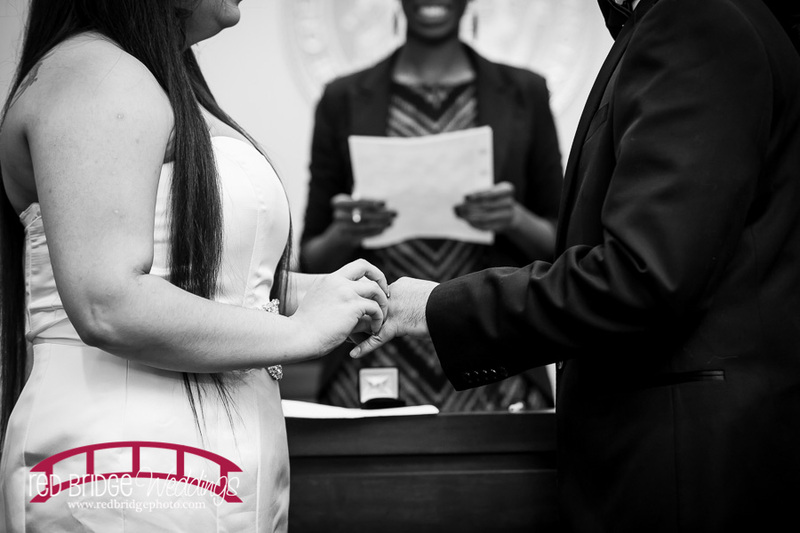 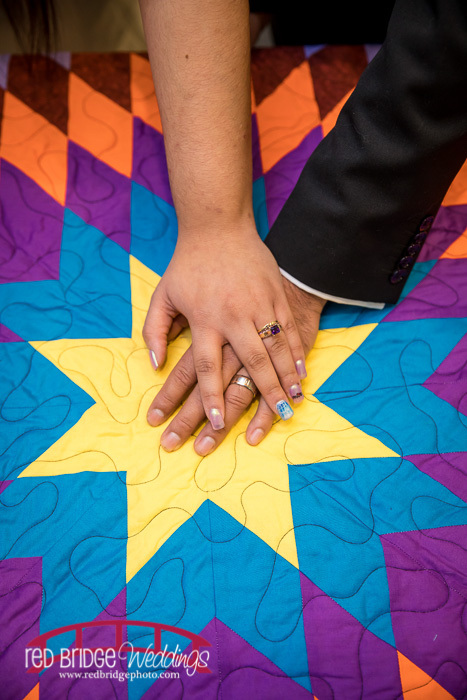 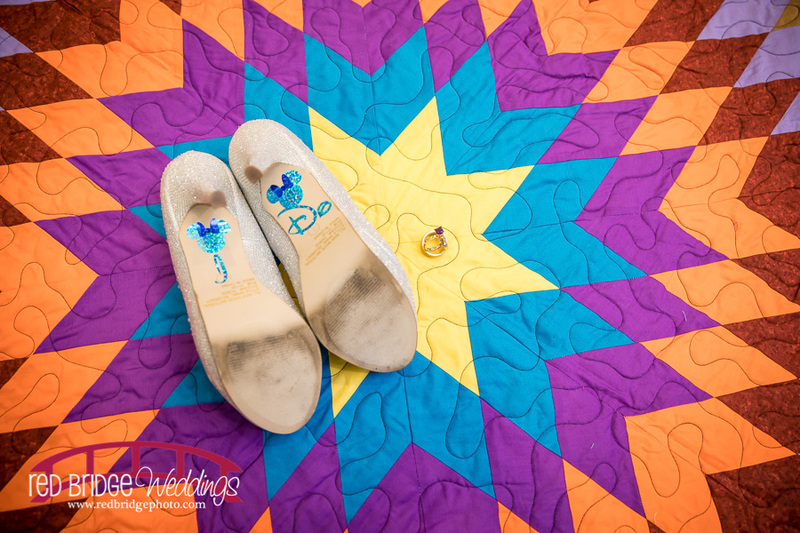 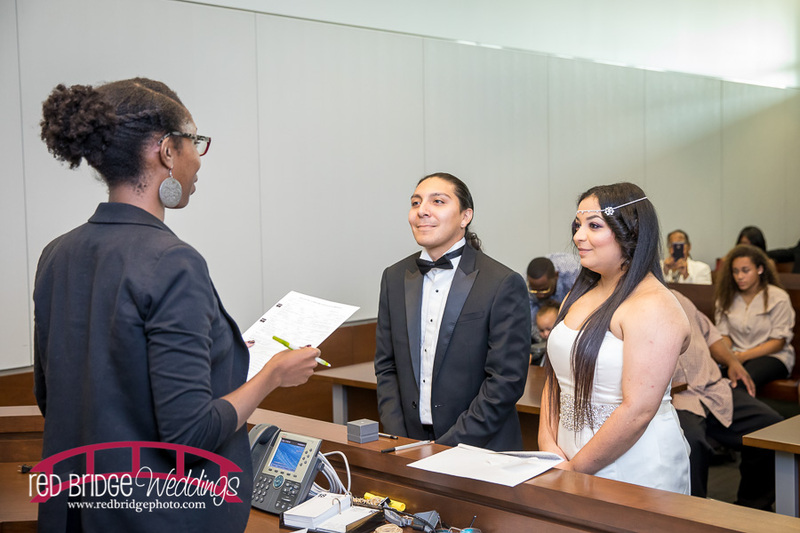 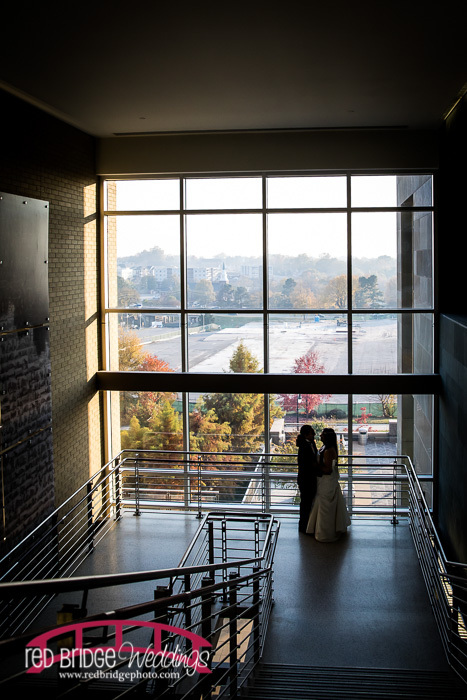 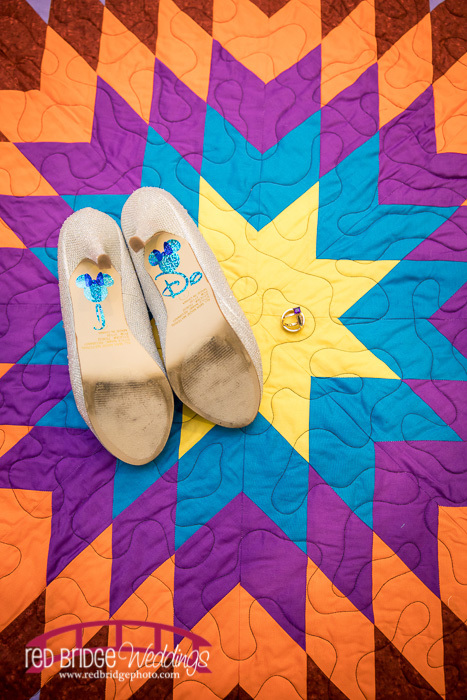 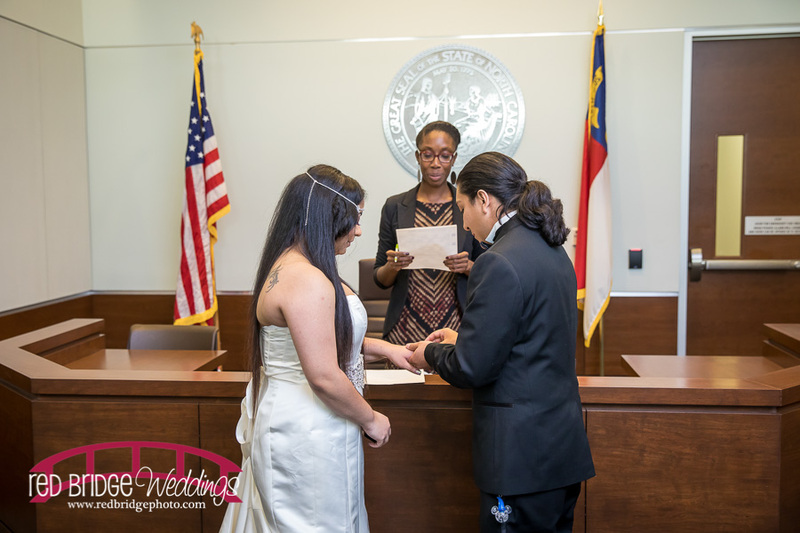 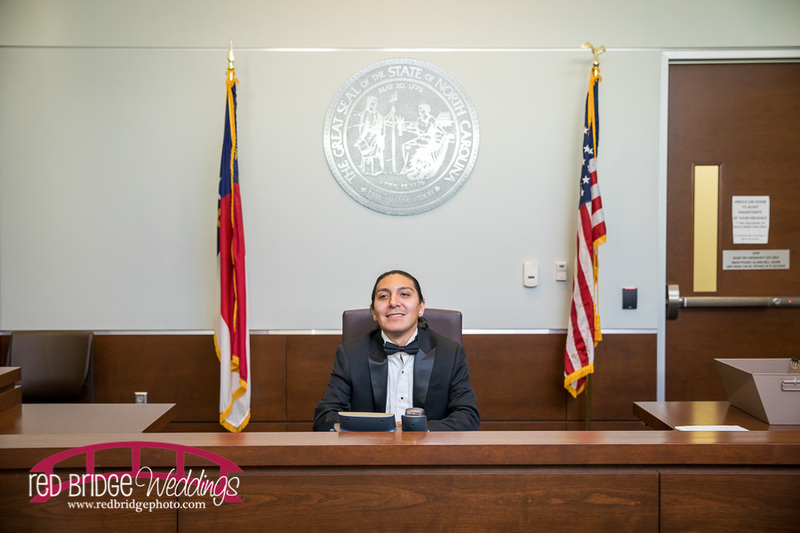 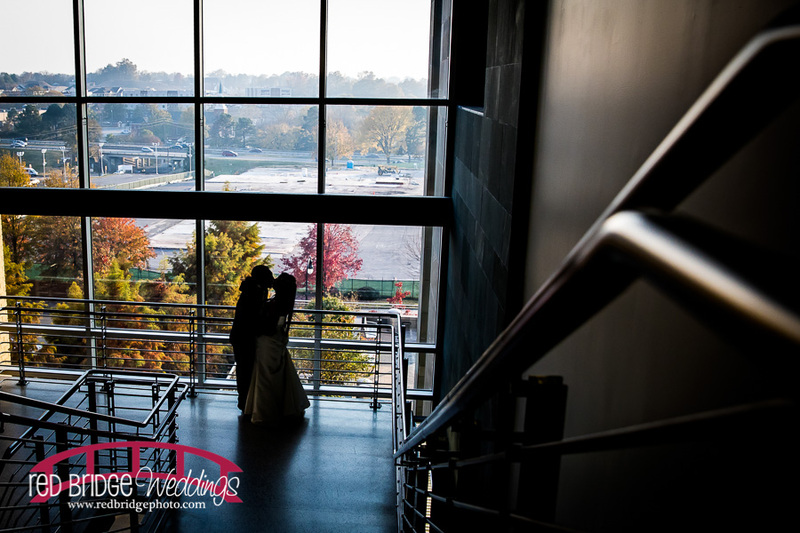 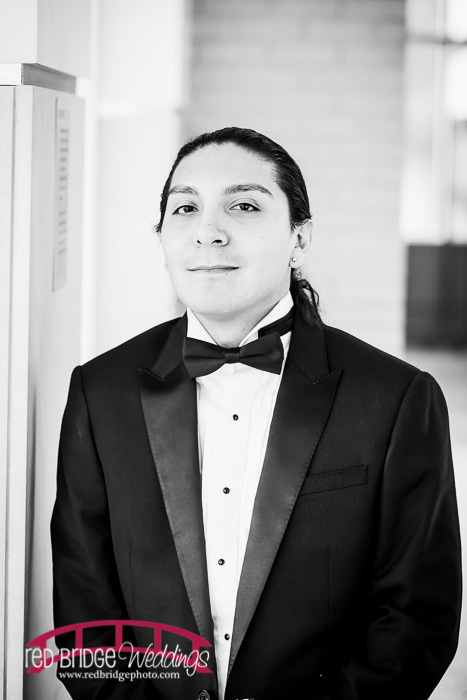 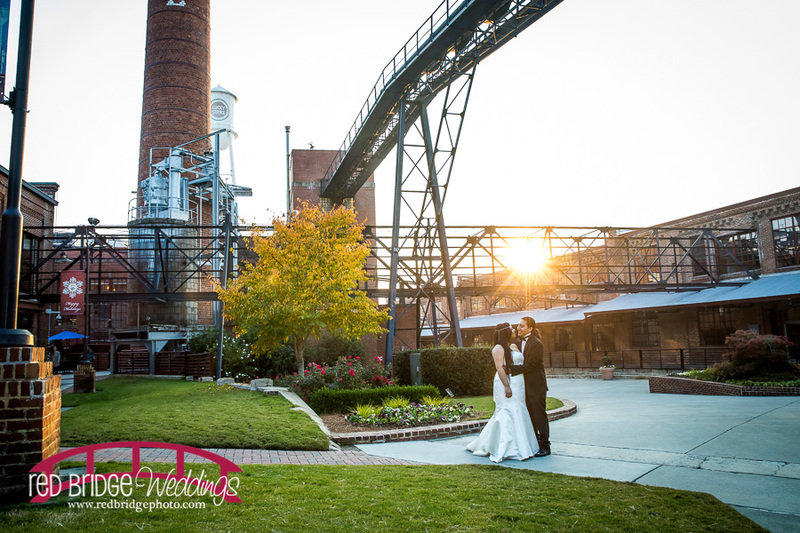 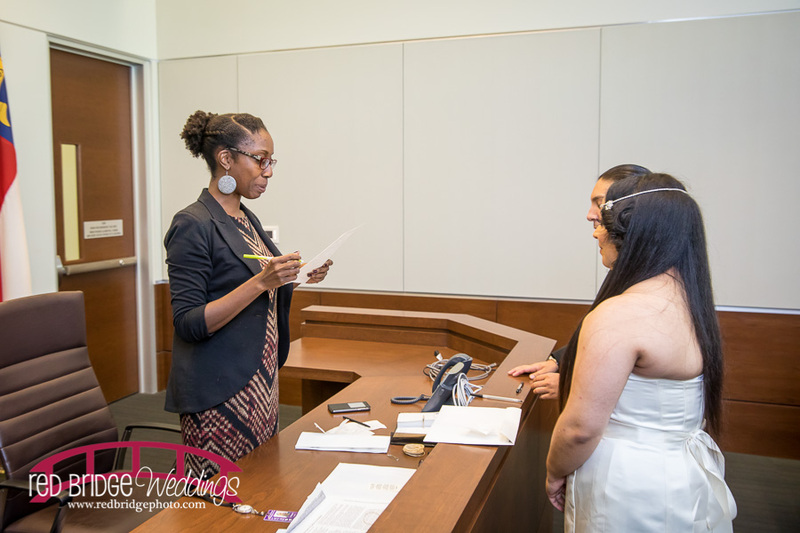 So, they planned for their wedding to be on Friday November 18 and well – the day was beautiful and awesome and we were among the 6 couples that got married that day at the Durham Courthouse. 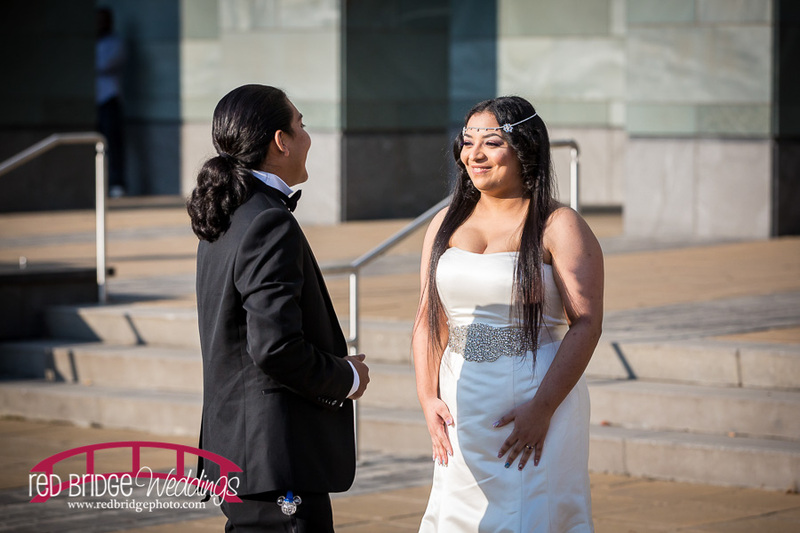 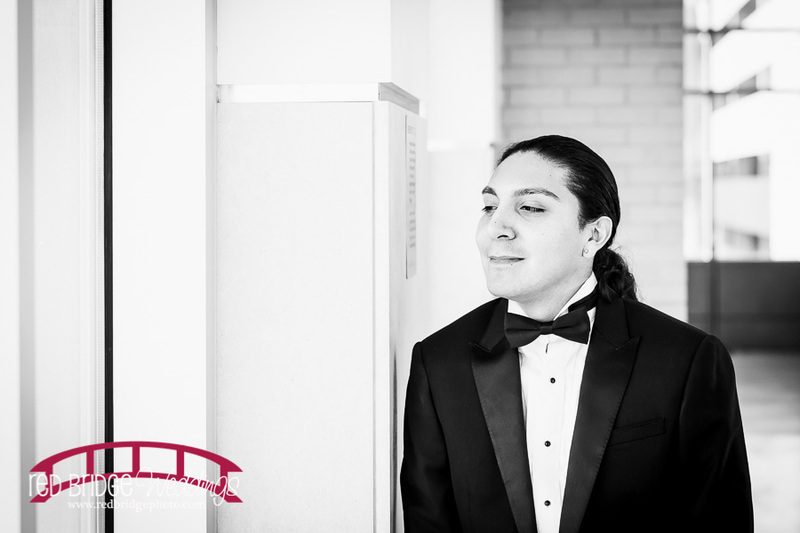 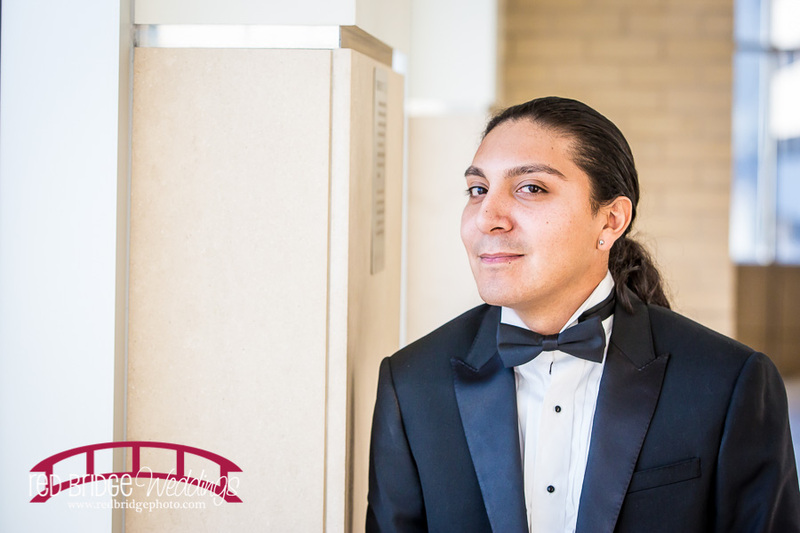 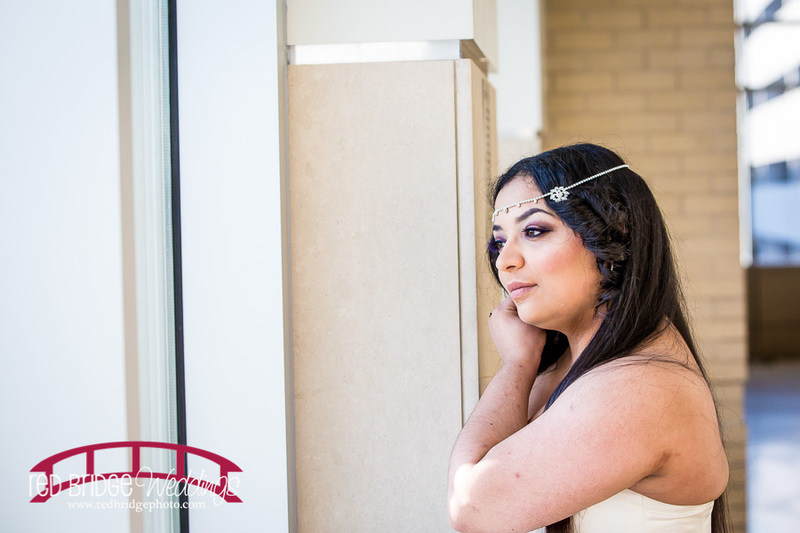 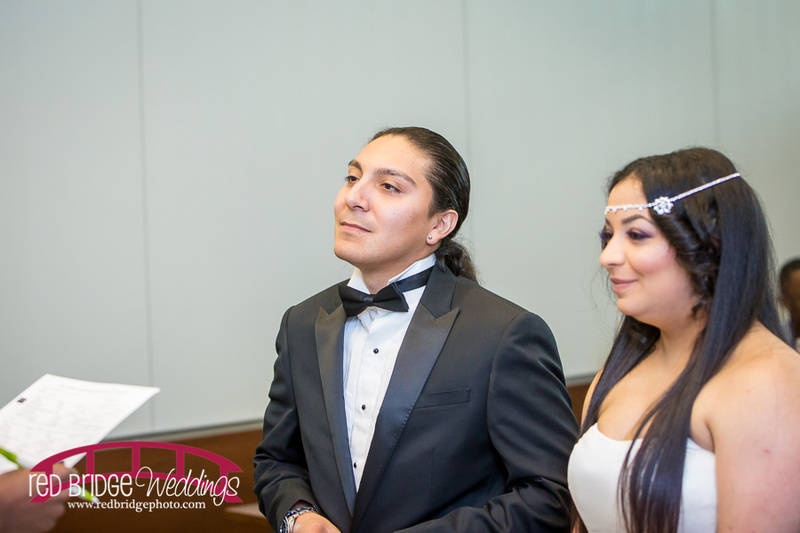 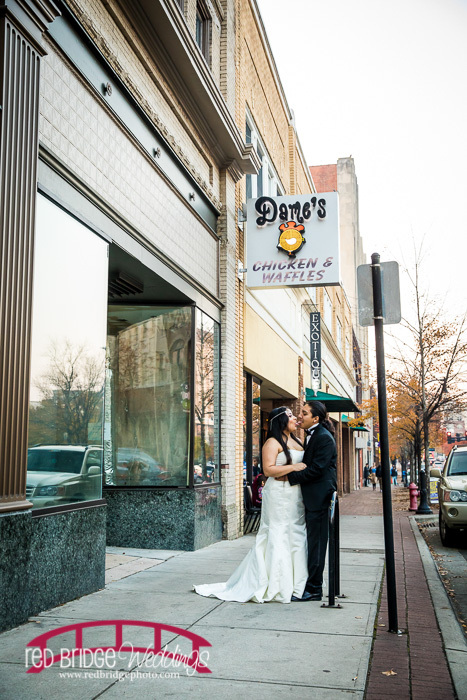 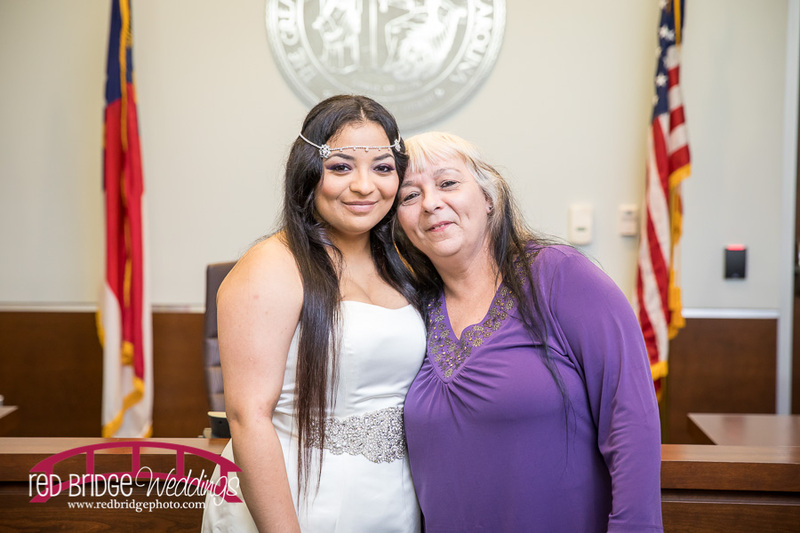 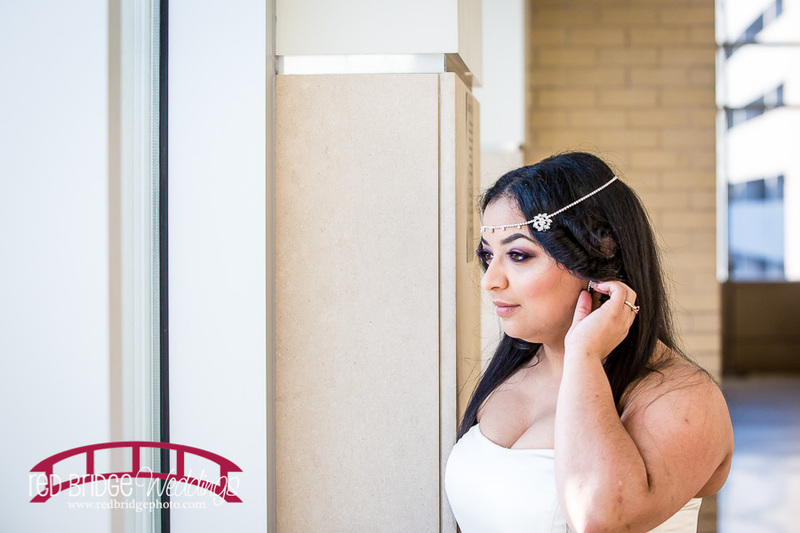 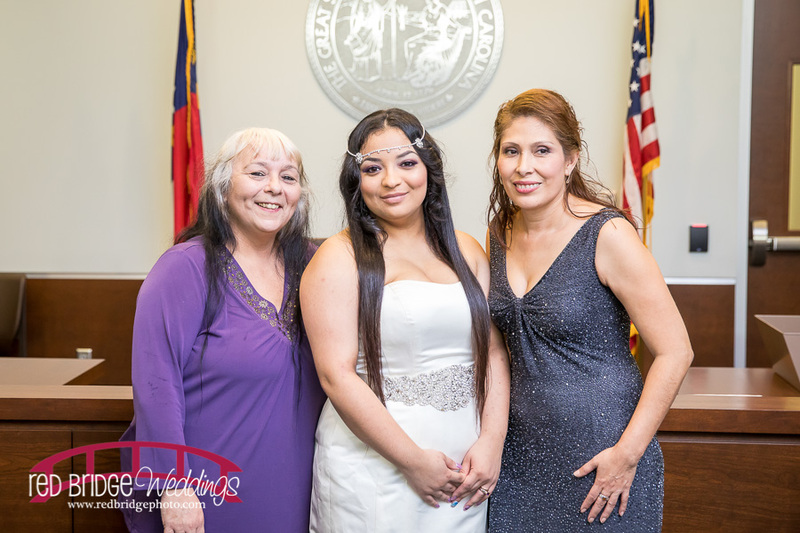 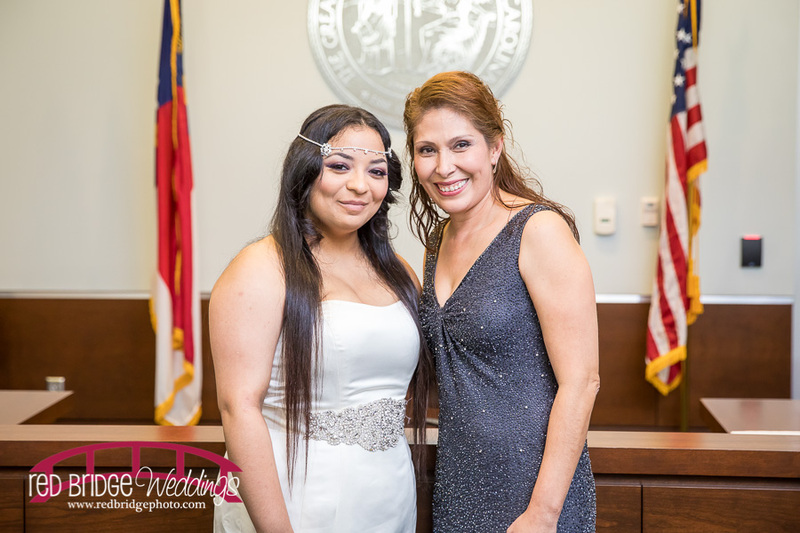 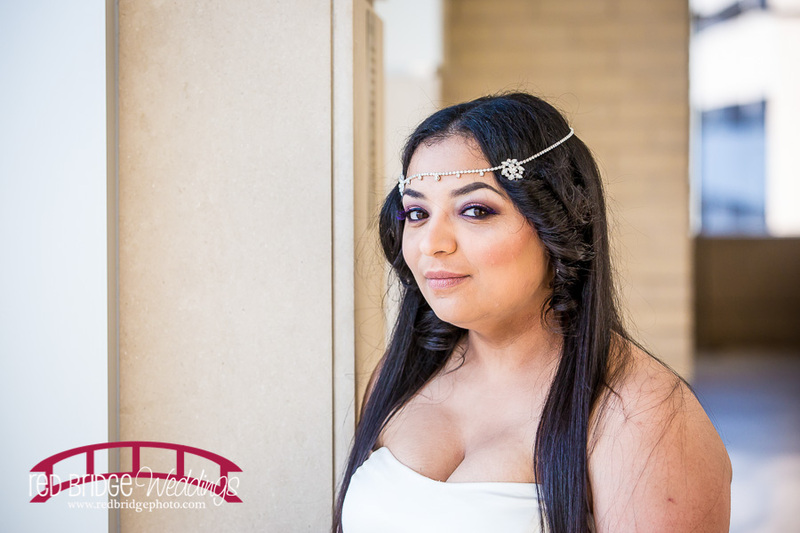 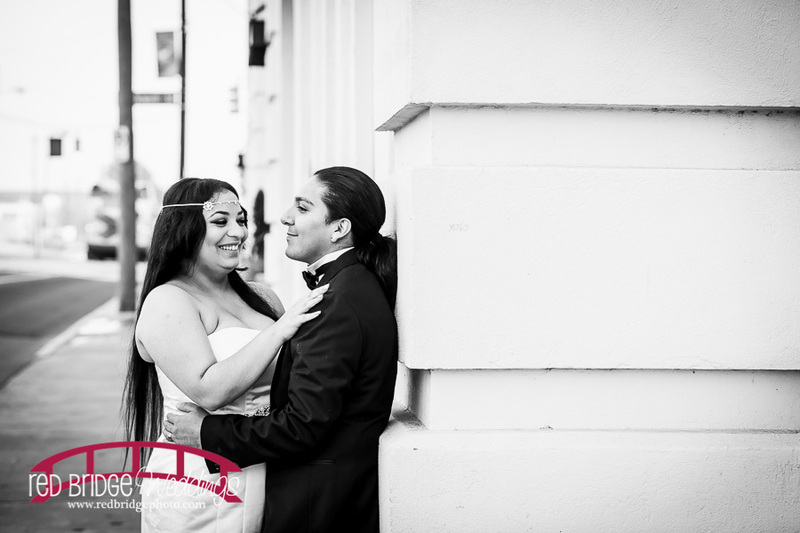 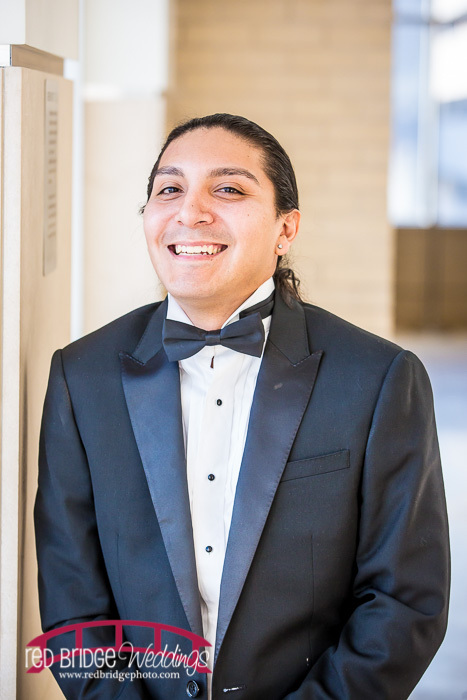 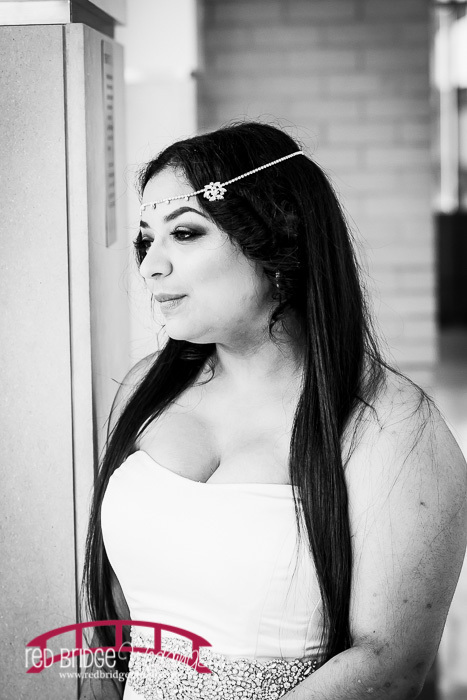 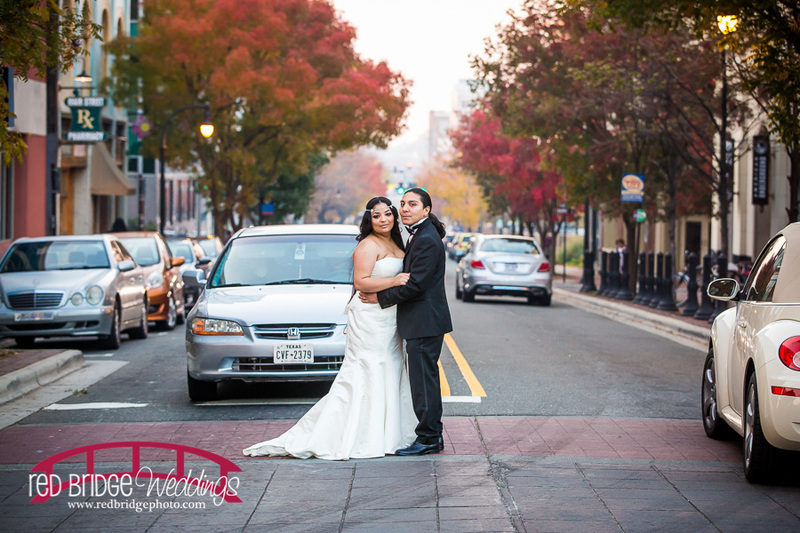 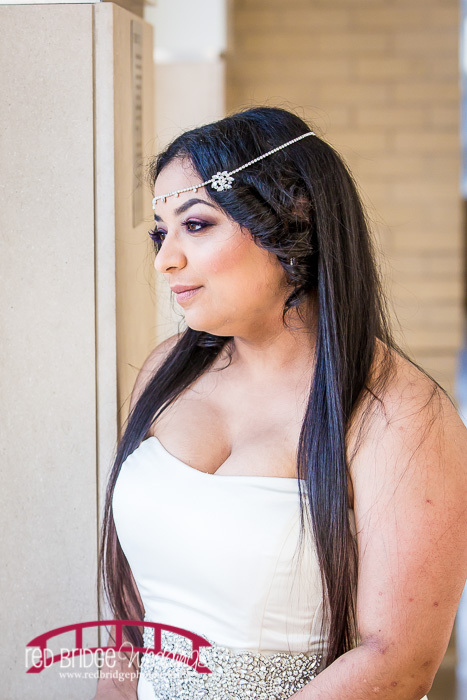 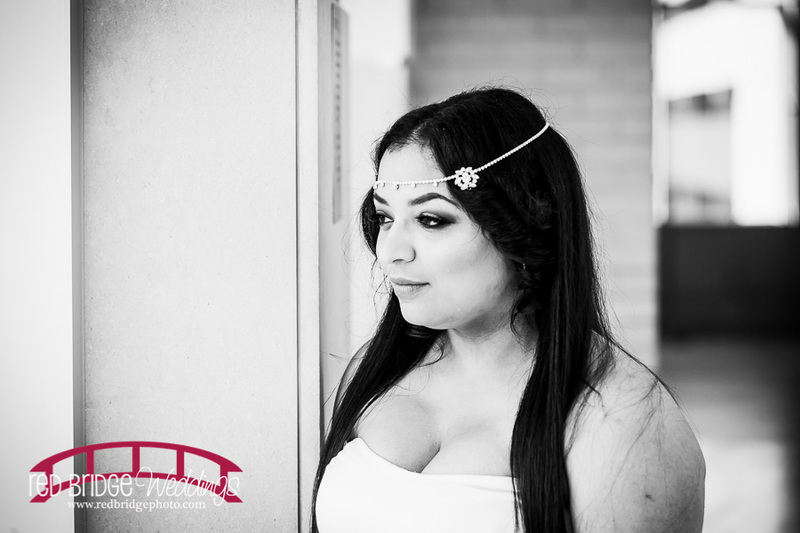 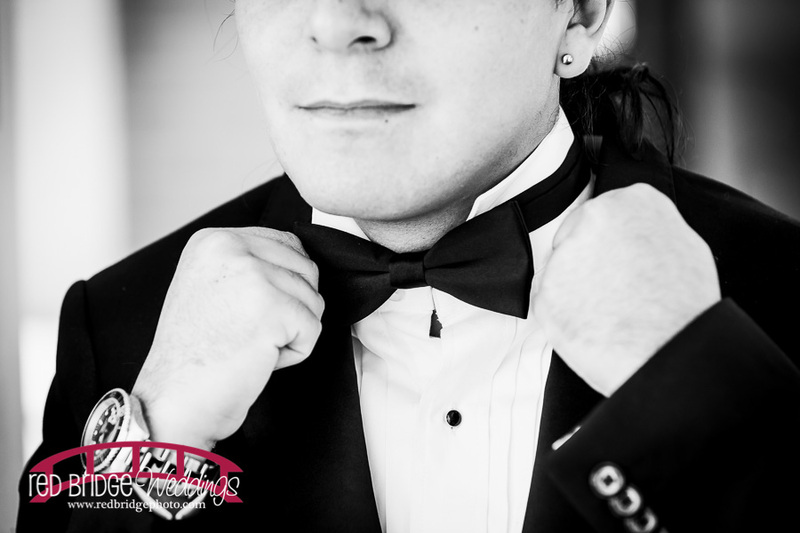 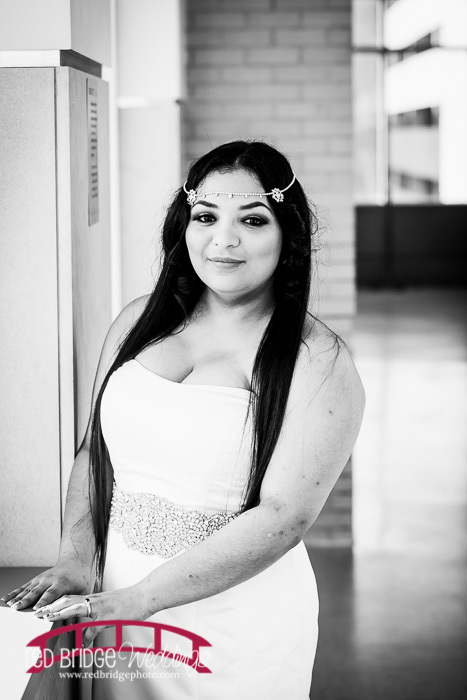 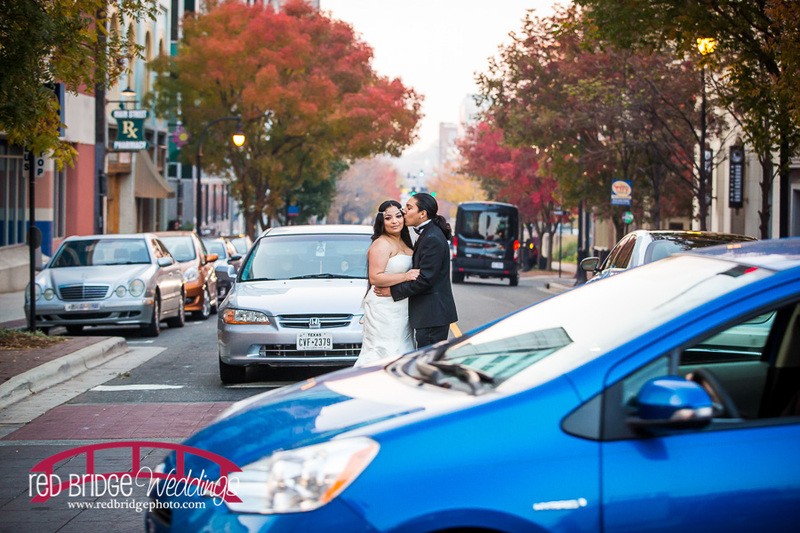 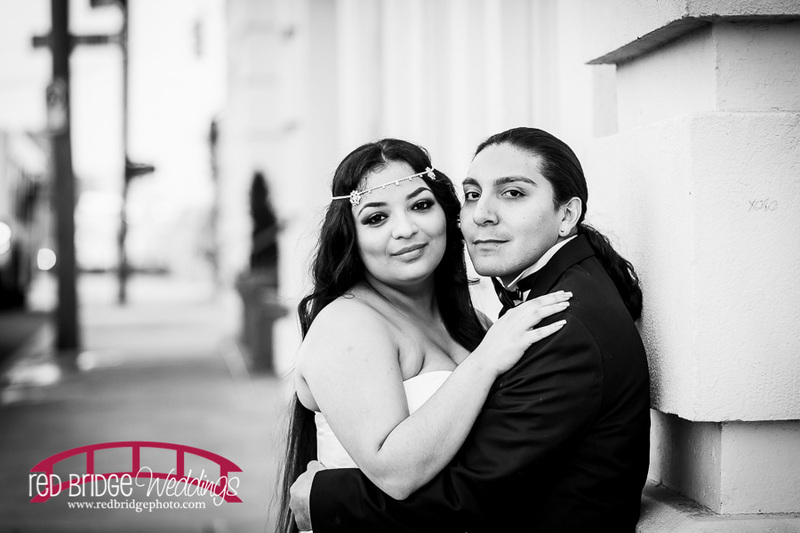 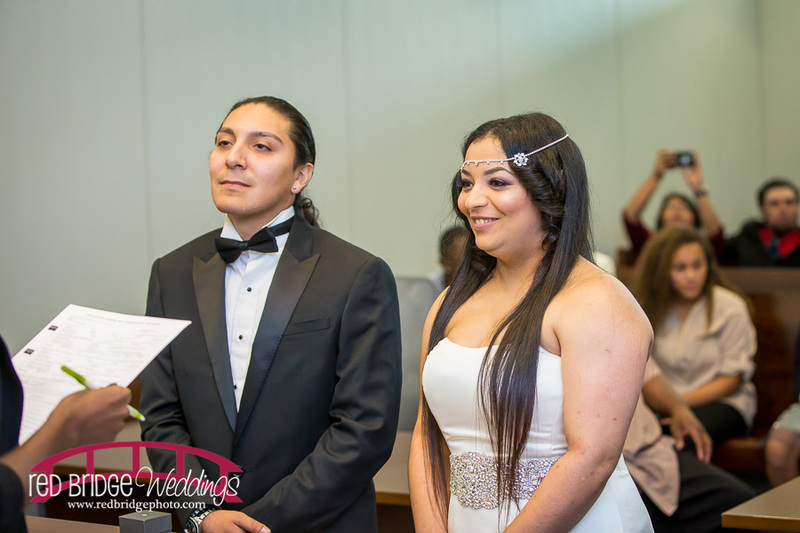 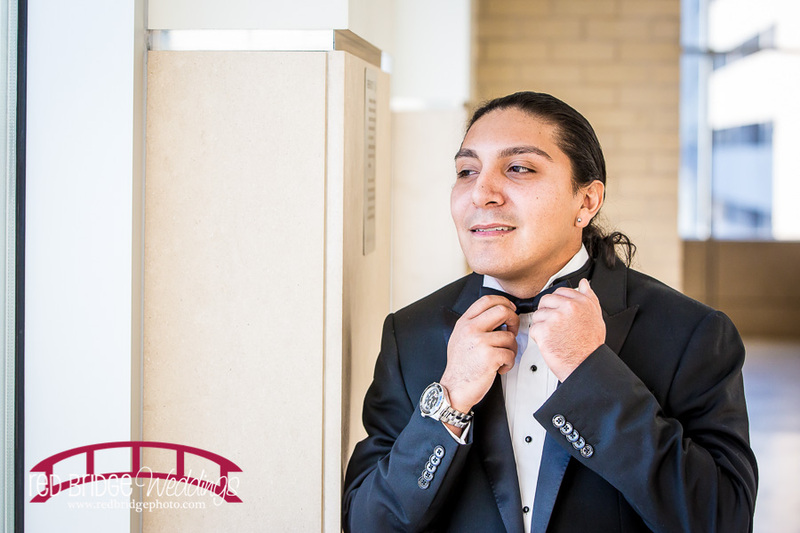 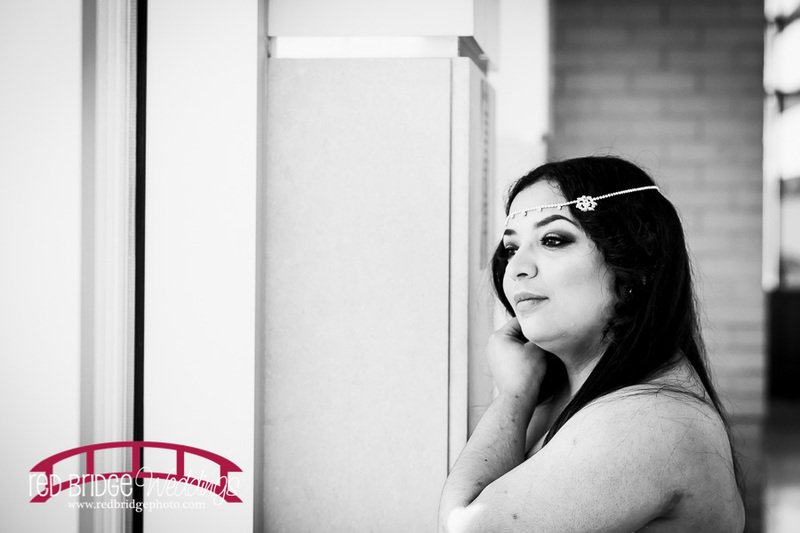 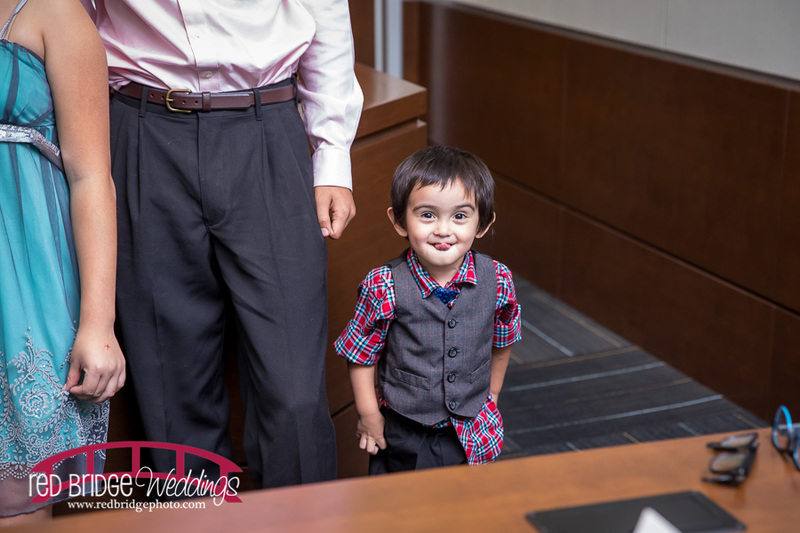 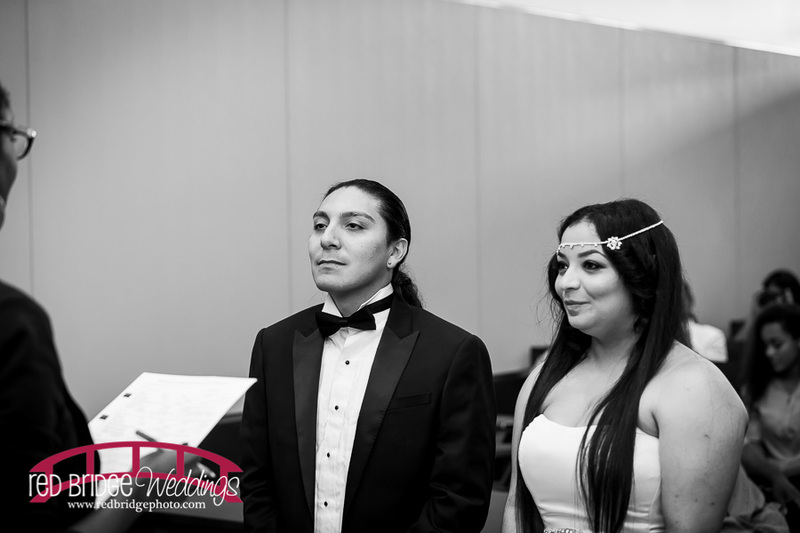 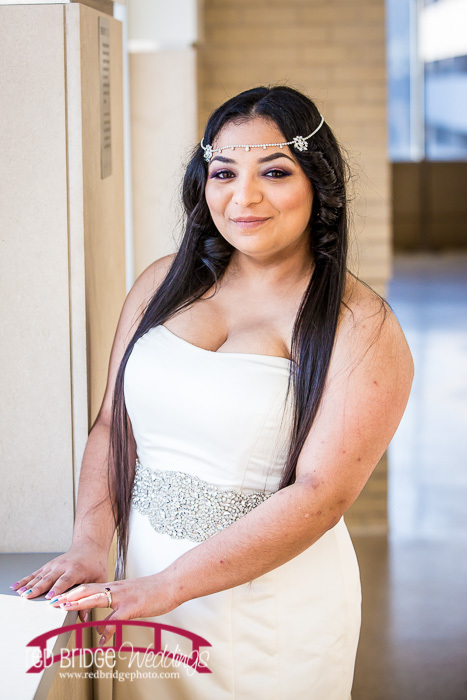 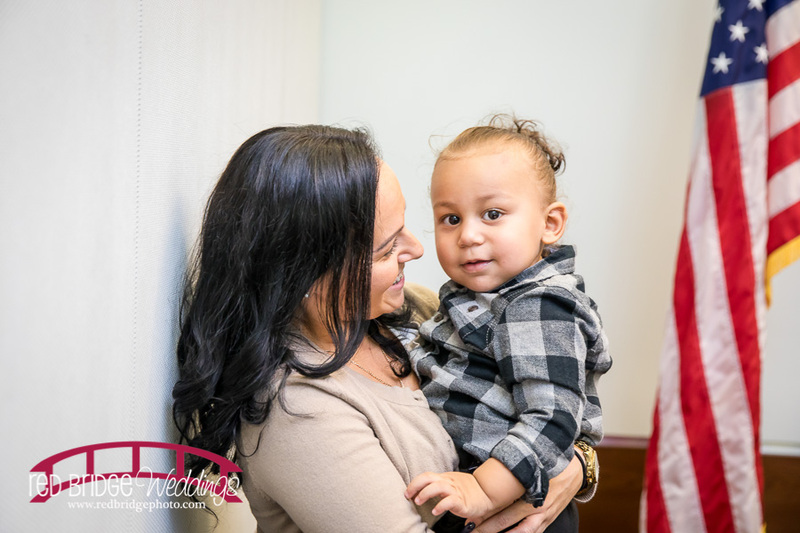 Before the ceremony, they wanted to do a first look as Desiree had come from hair and make up and gotten dressed before seeing Fernando at the courthouse. 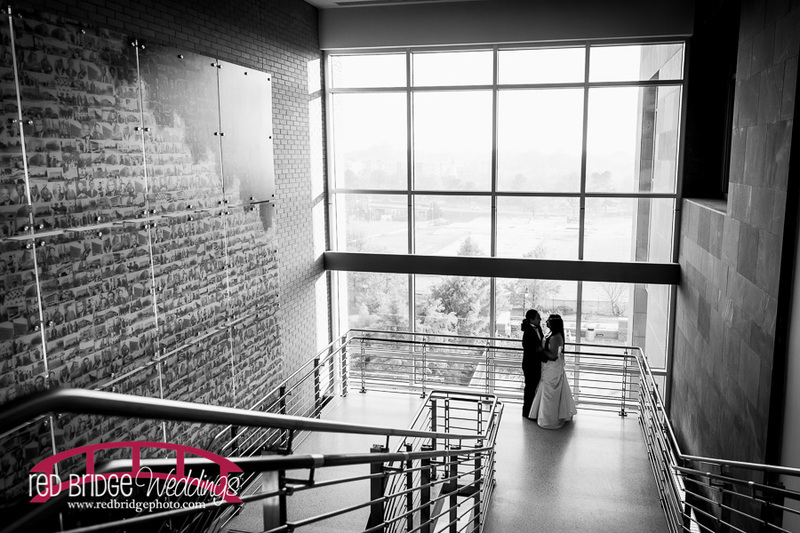 The first look was a really special moment. 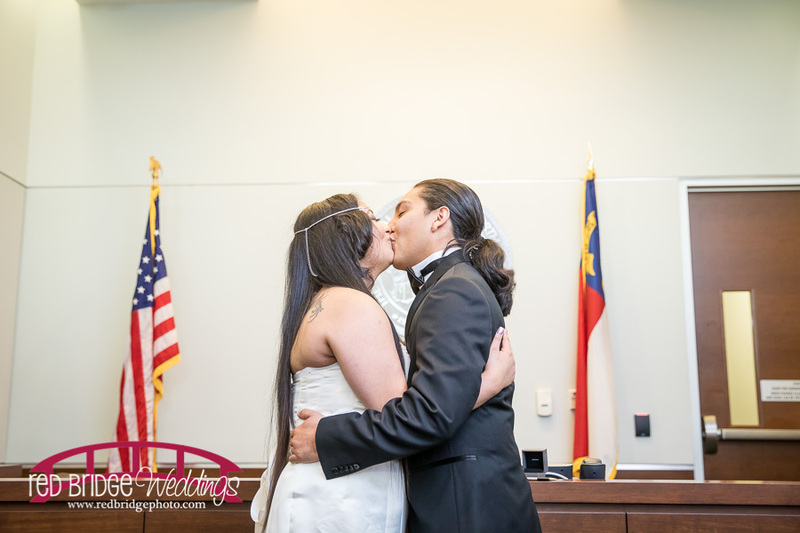 Then they got MARRIED! 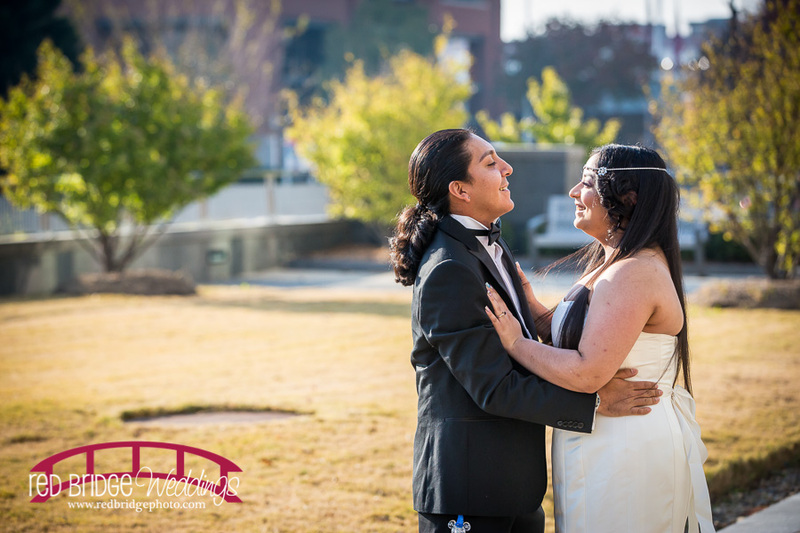 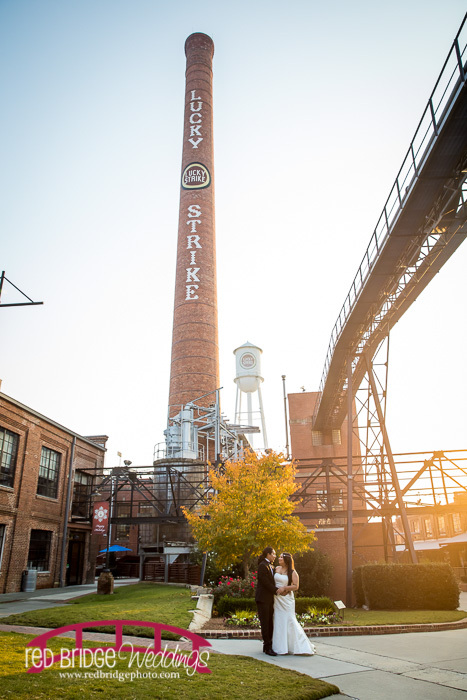 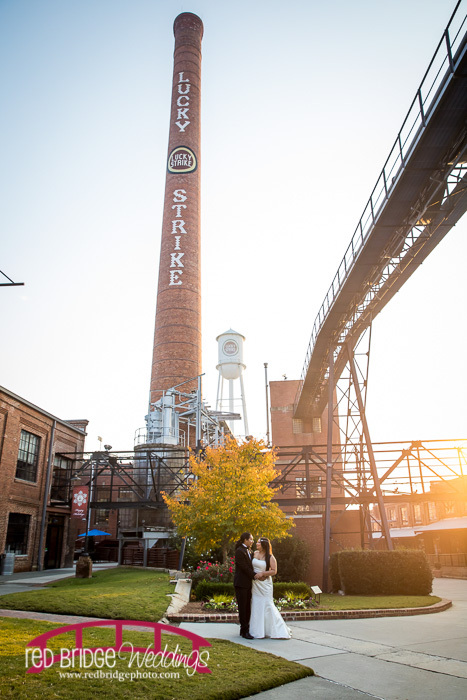 After some family portraits in an adjacent courtroom as made available by the super nice magistrate that needed to move on to the next couple to say their “I dos” we headed out for some portraits of the bride and groom at American Tobacco Campus and around downtown Durham. 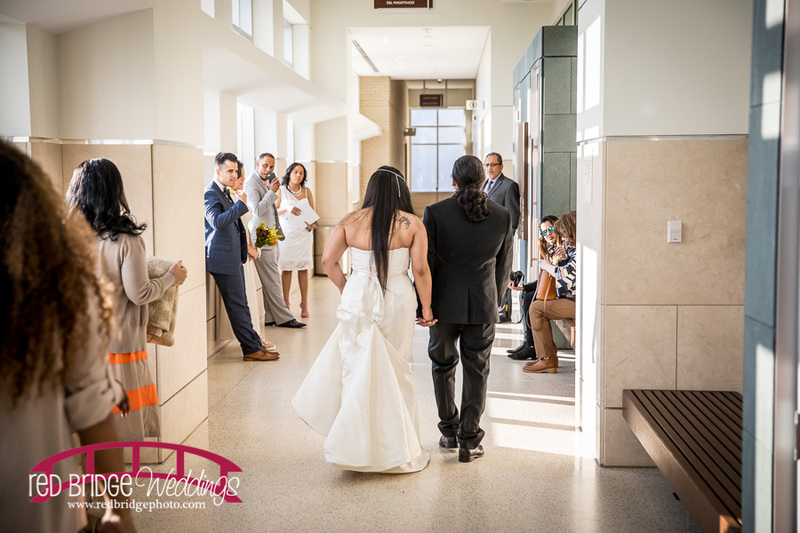 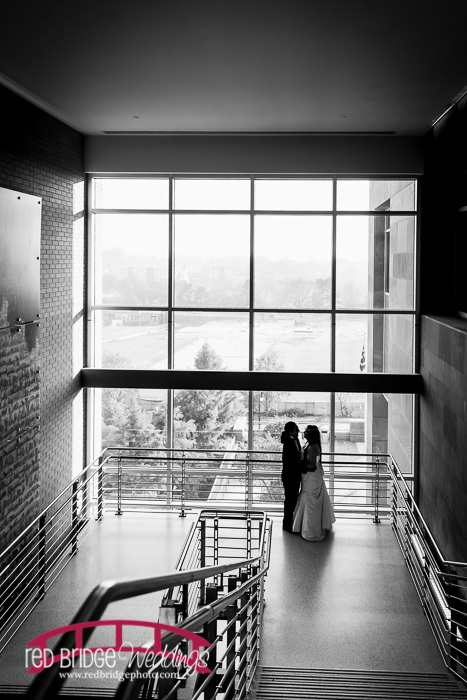 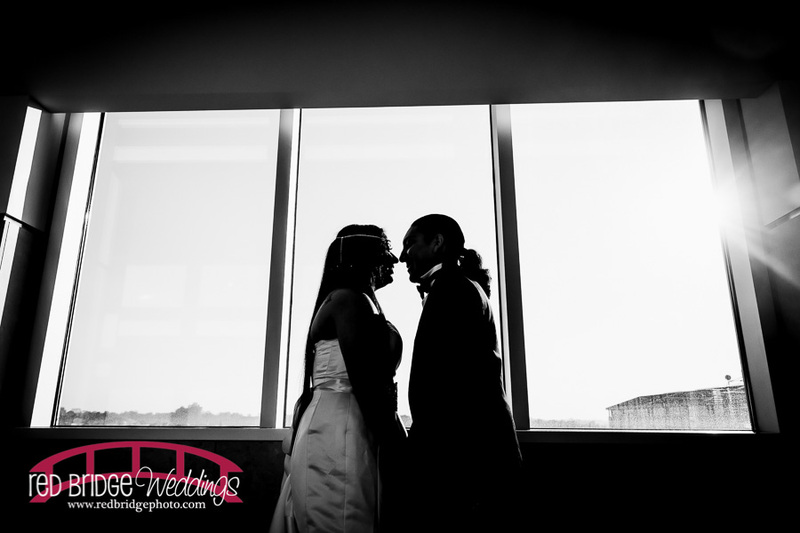 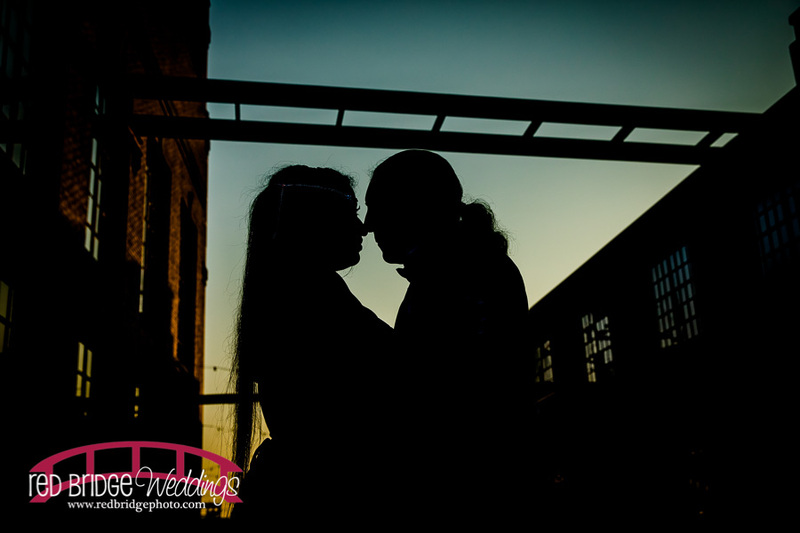 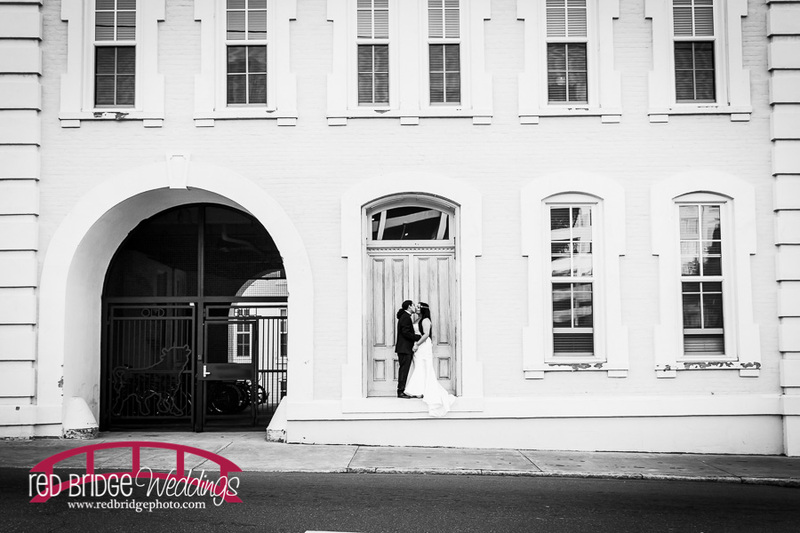 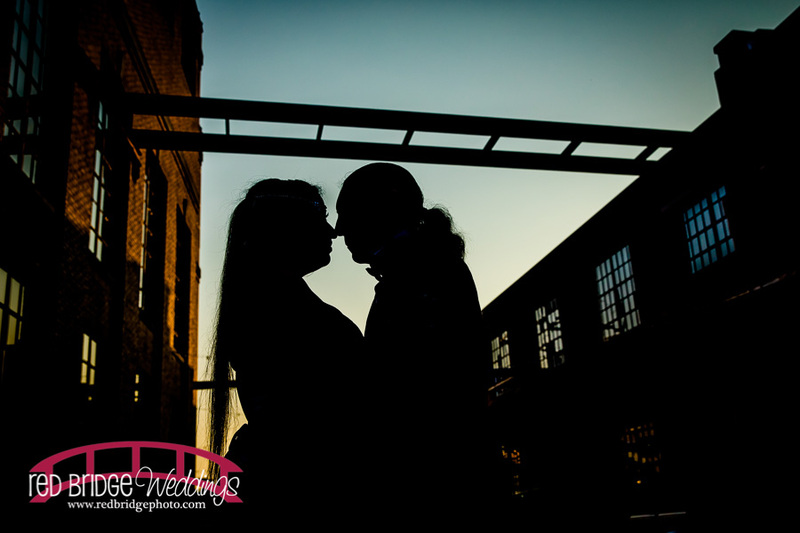 I really love these courthouse weddings and love that each time I can find a different special location for each couple. 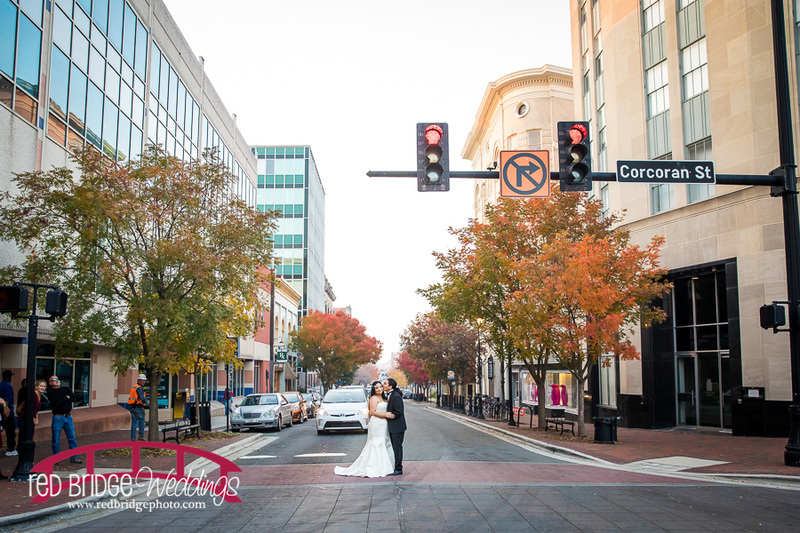 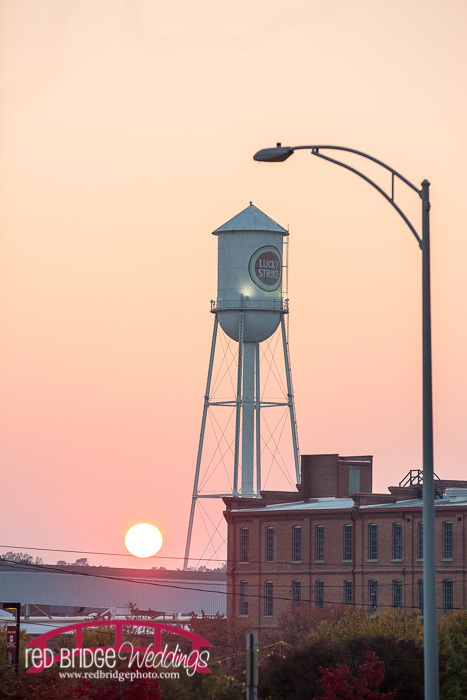 The last courthouse wedding I did, we managed to stay mostly in the downtown area and avoided American Tobacco Campus as there was a baseball game or an event over that way. 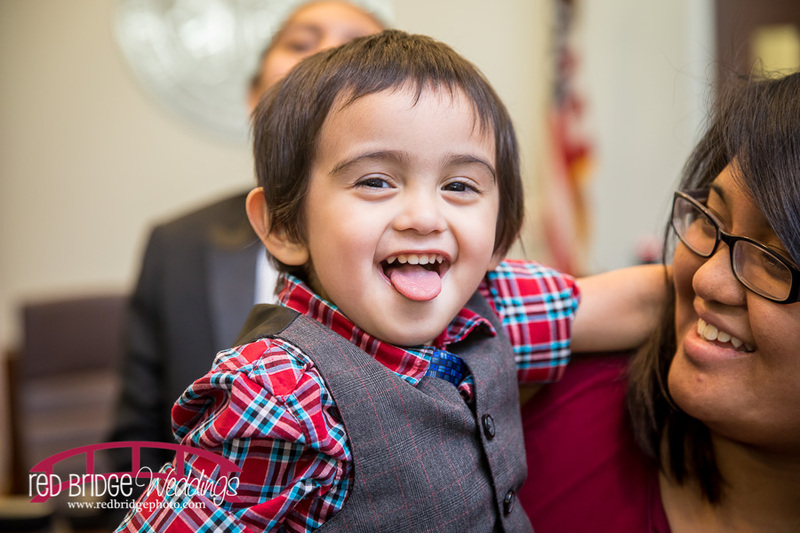 This time – we fully embraced it and they happened to be putting up the Christmas decorations on this day which Fernando was super pumped that we would then have Christmas in the pictures as he absolutely LOVES Christmas. 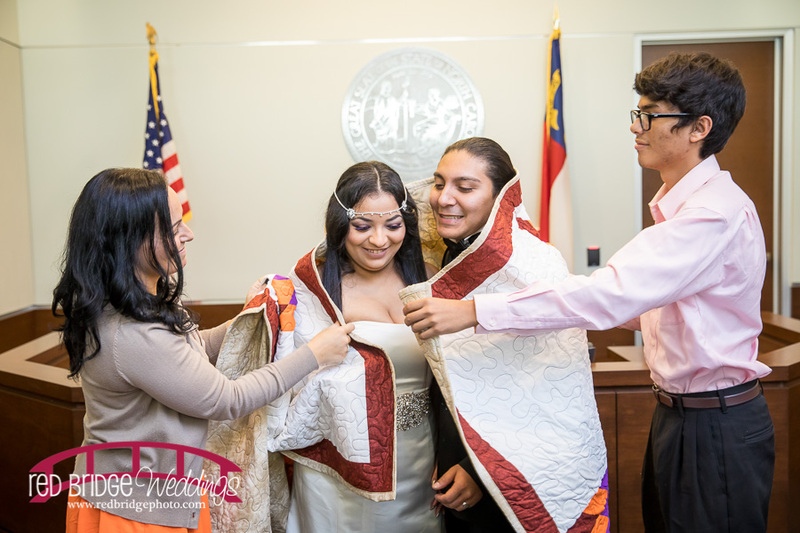 I hope you enjoy some of my favorites from this beautiful courthouse wedding and see that even though the ceremony is short and well, done at the courthouse – it can still be just as amazing and special as a big wedding day!